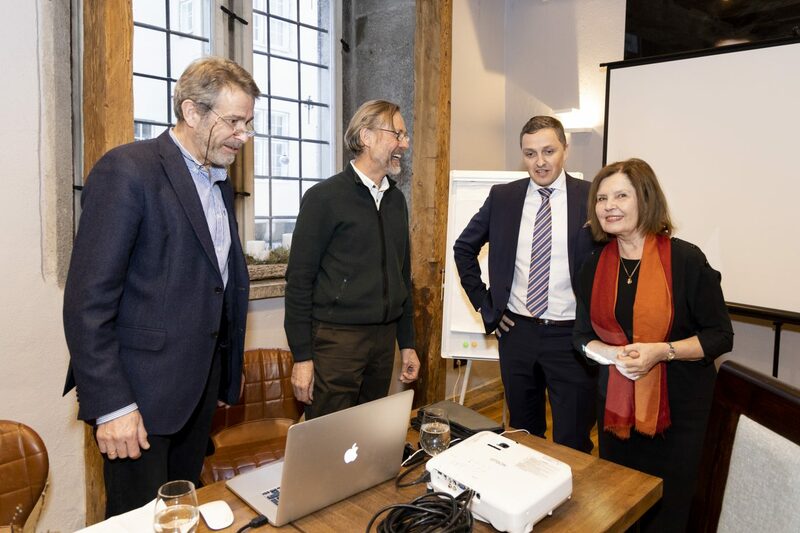 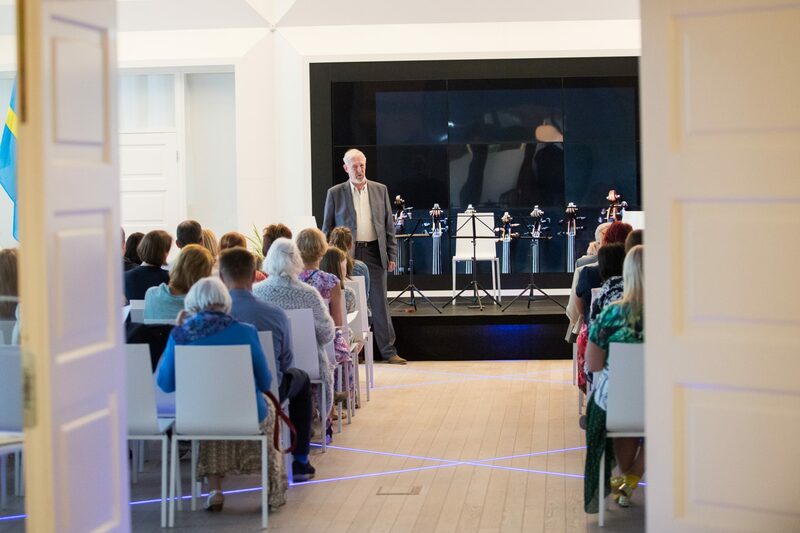 In the year 2018 the Estonian Foundation of Musical Instruments started a project for training instrument makers and businesses with funding from Enterprise Estonia. During the study sessions in Estonia and abroad, future instrument makers receive knowledge and skills about constructing instruments, materials, care, etc. 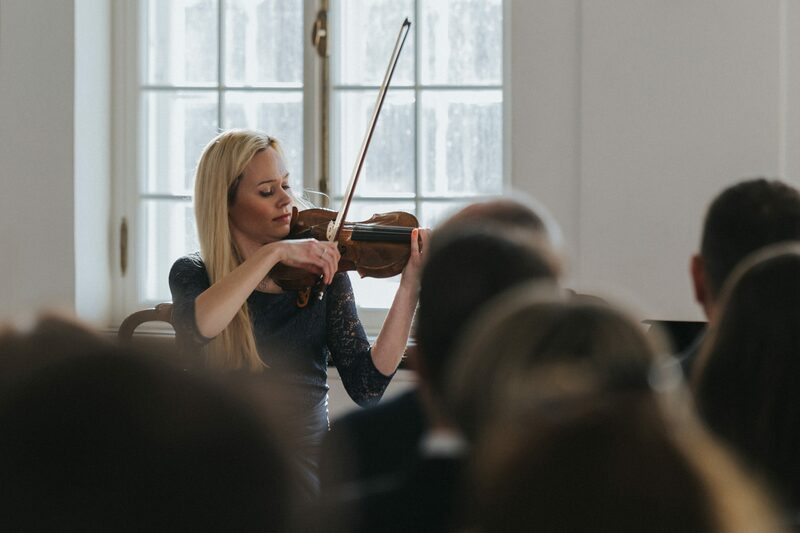 Throughout the world, instrument makers work as entrepreneurs and therefore in addition to gaining knowledge about the field, necessary skills for managing a company are also learned. 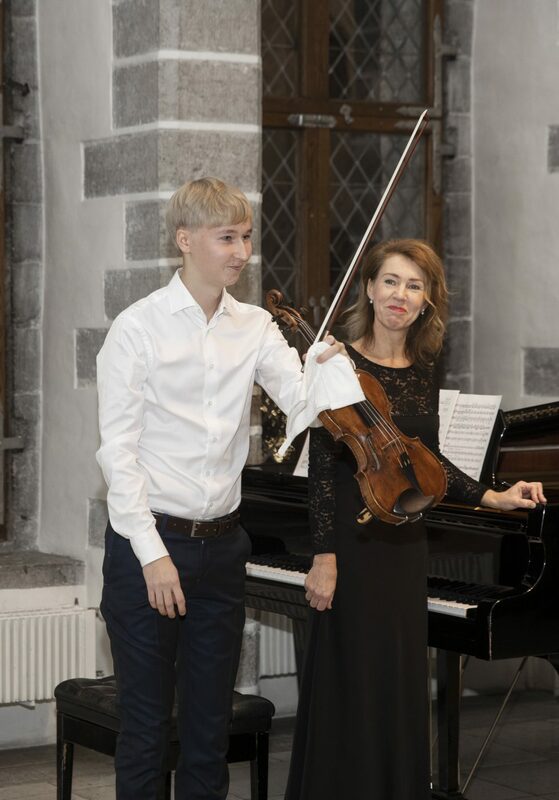 The oldest instrument used for the concert was a violin made by the Italian master Giovanni Paola Maggini approximately in the year 1610, which currently belongs to the Sapožnin family. 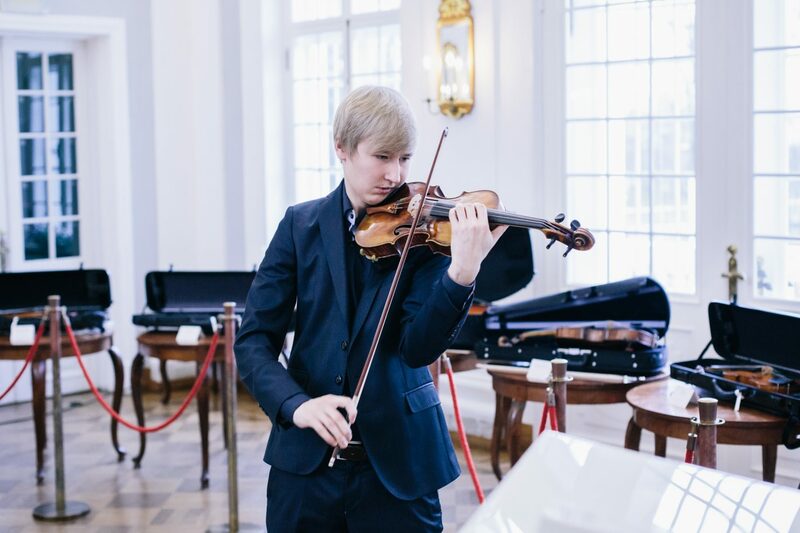 The instrument is currently used by Hans Christian Aavik who is studying at the Frankfurt University of Music and Performing Arts. 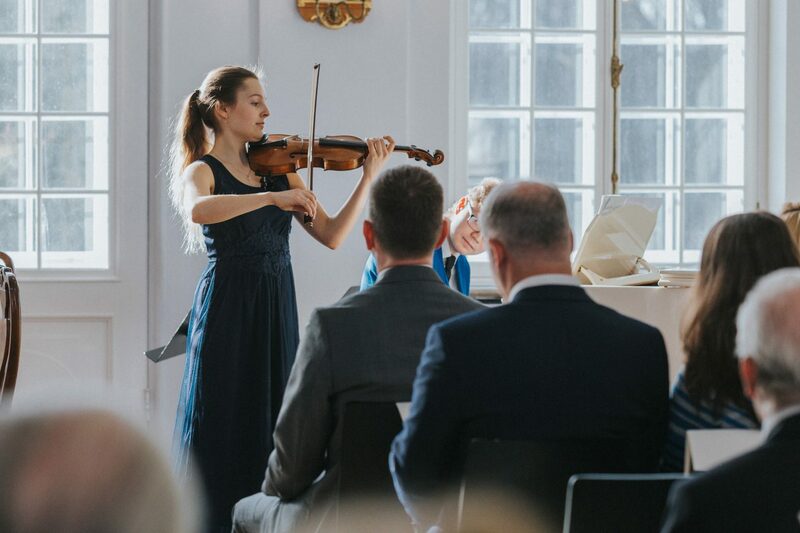 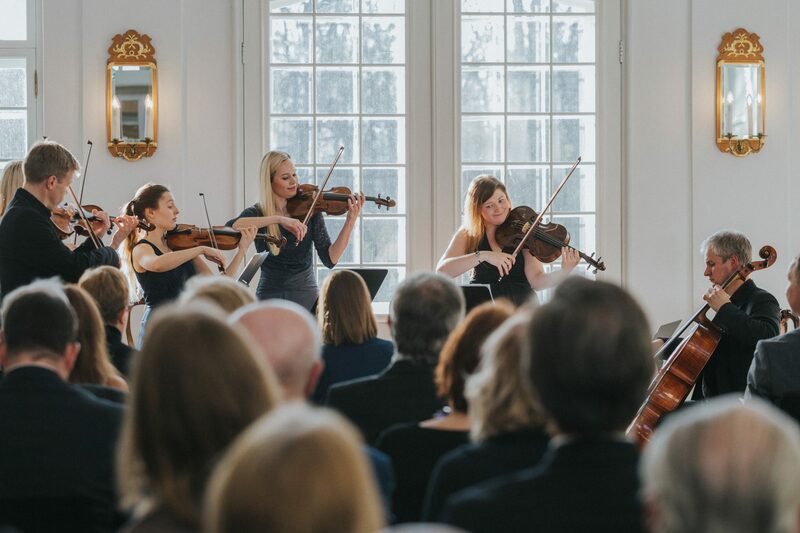 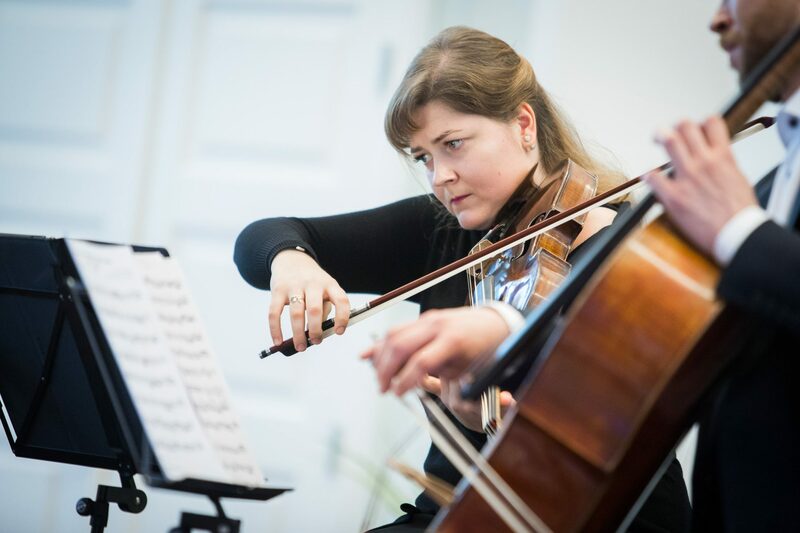 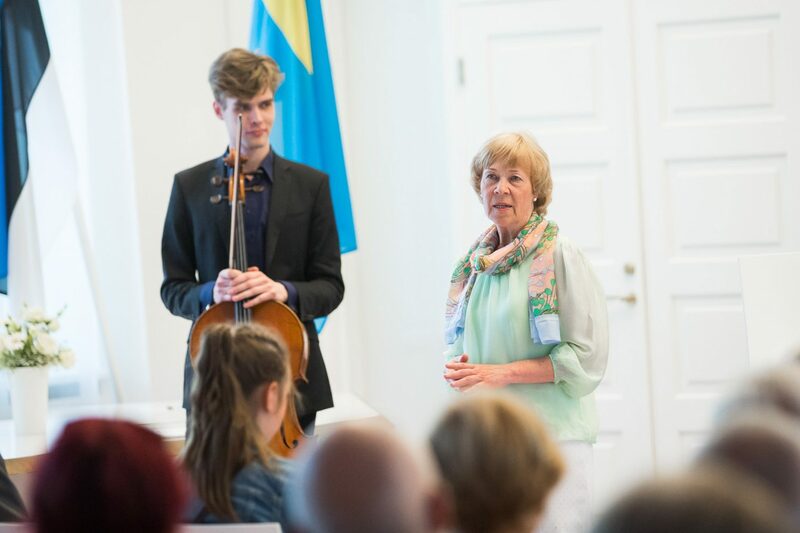 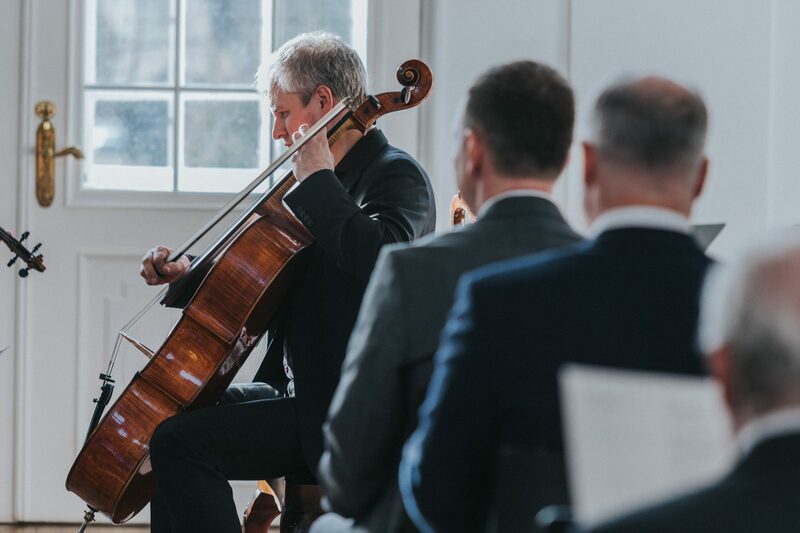 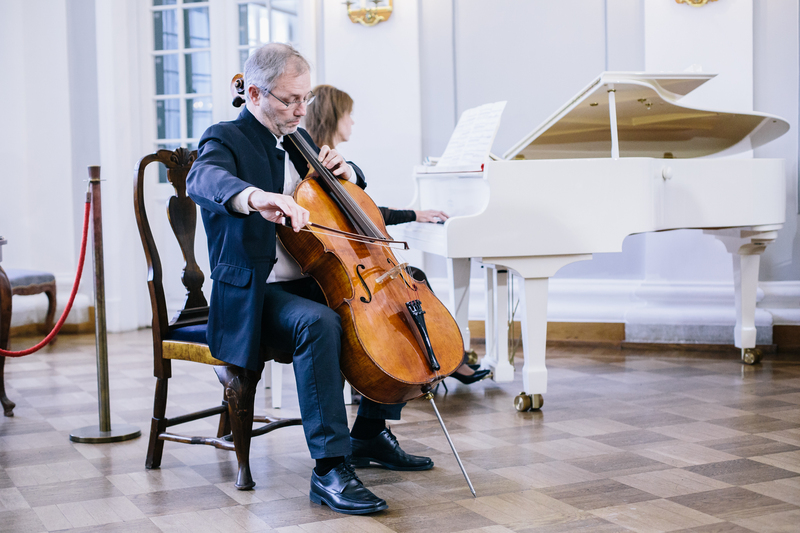 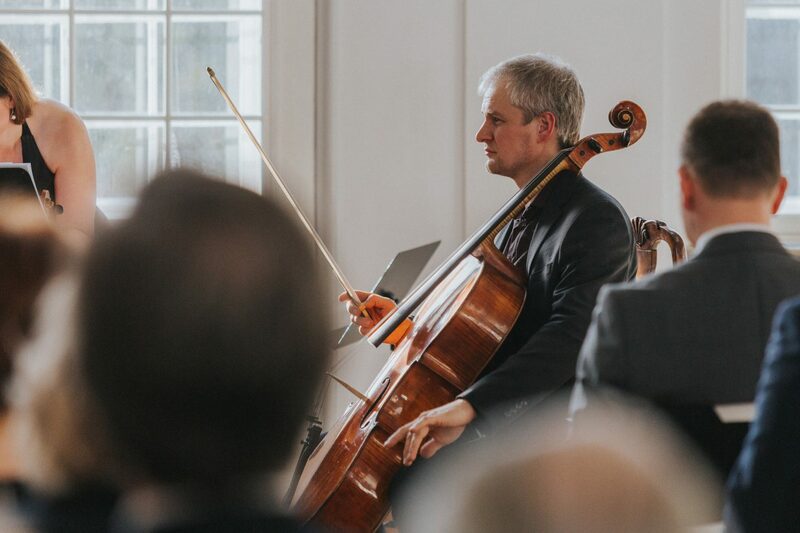 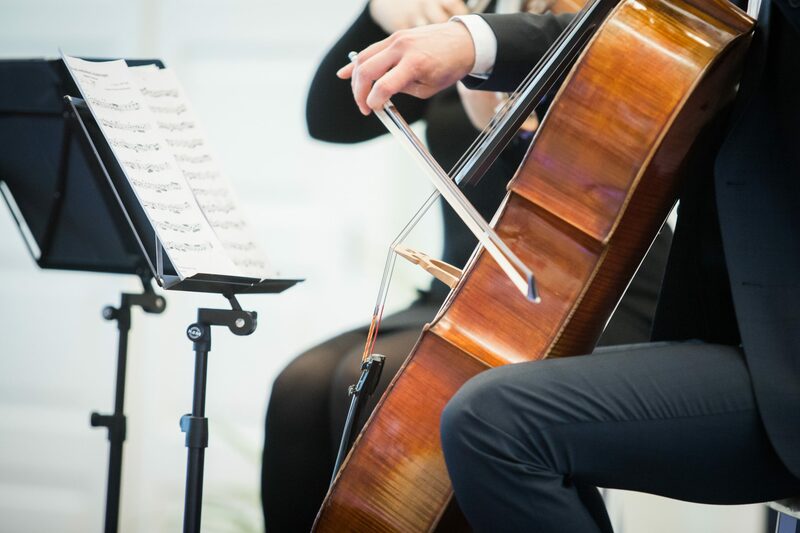 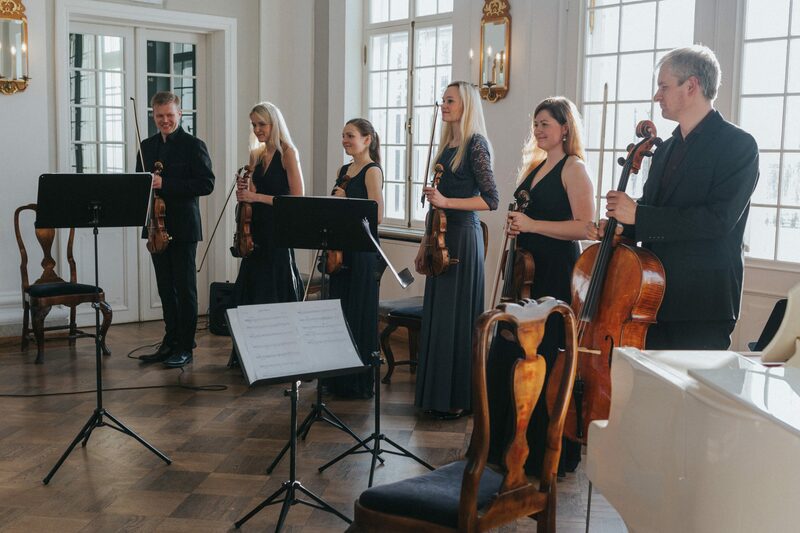 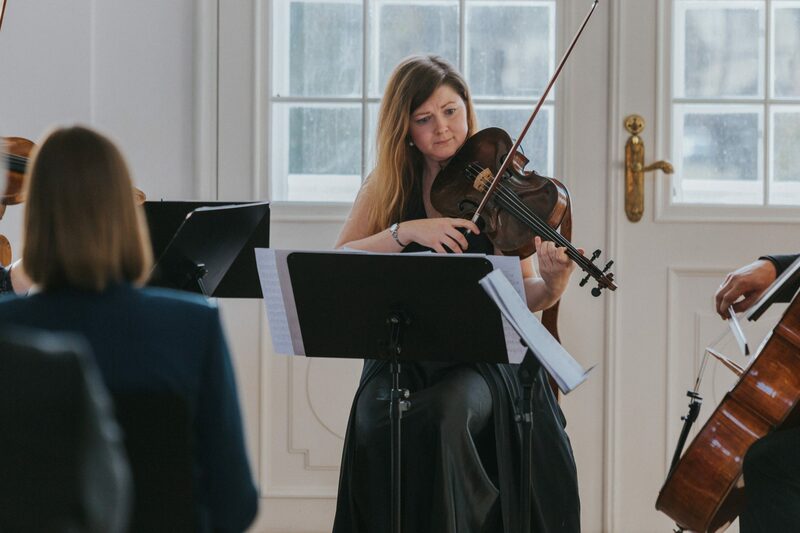 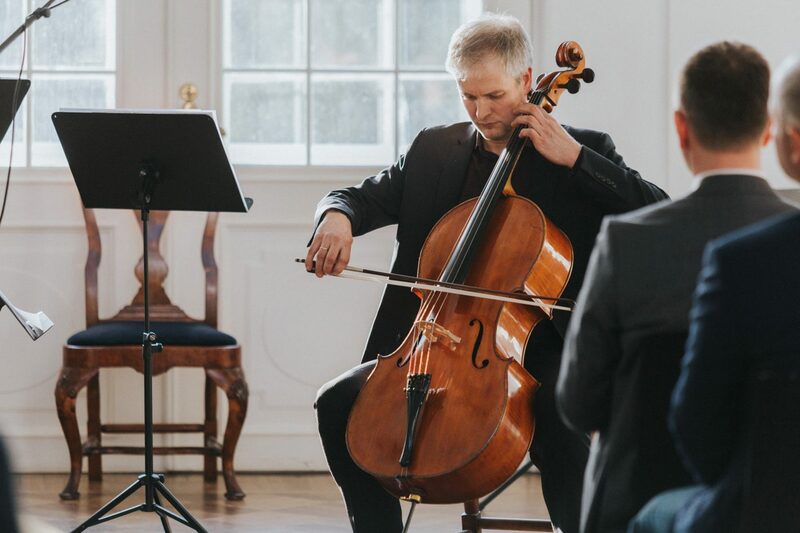 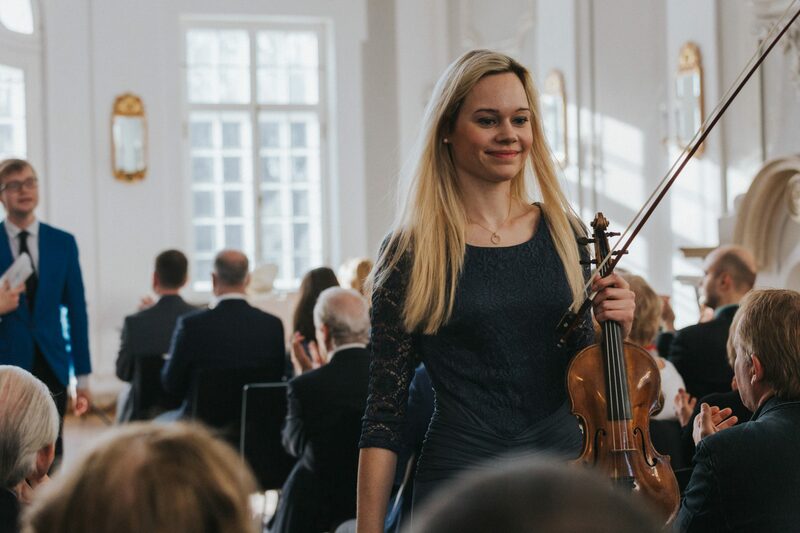 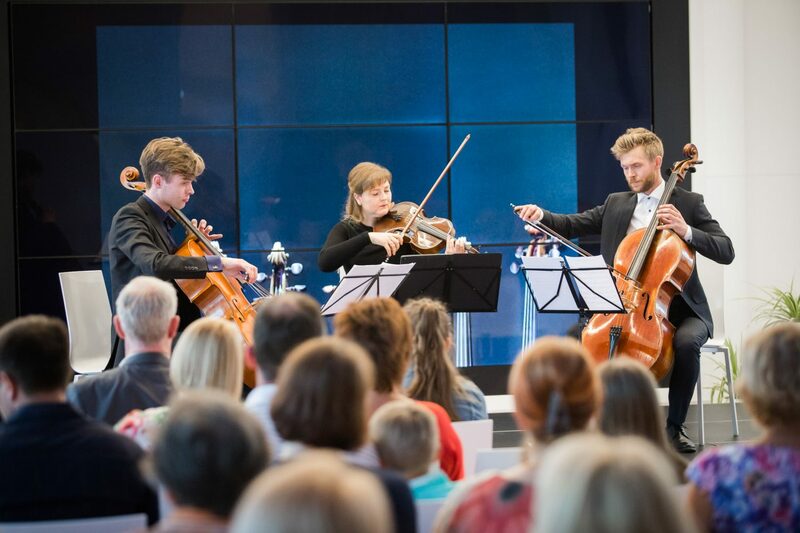 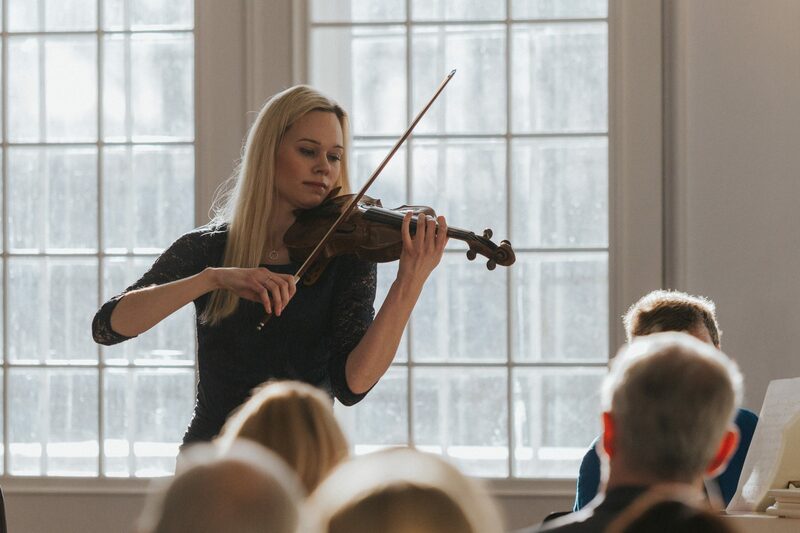 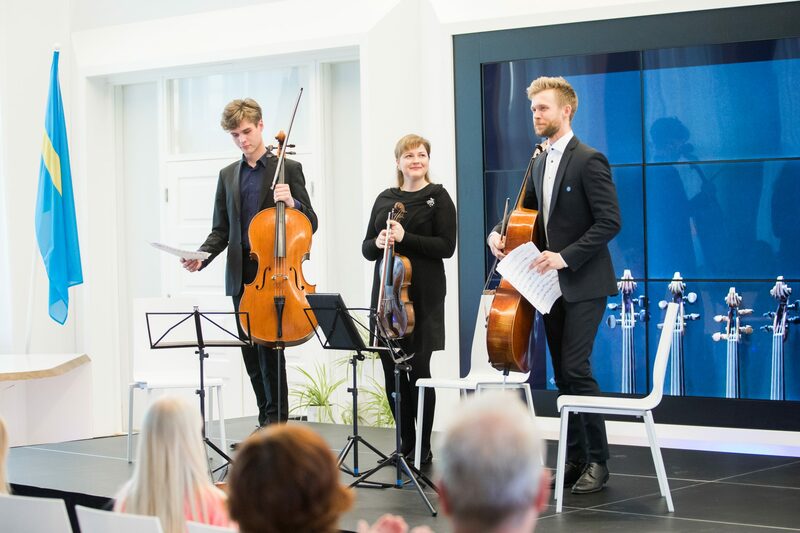 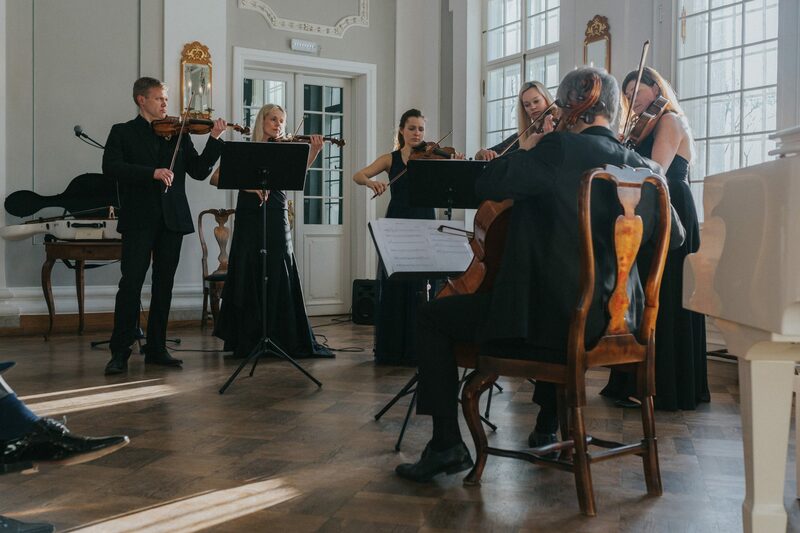 On May 23rd the musically inclined had a rare opportunity to listen to a string instrument concert with performers using the Instrument Foundation’s historical instruments in the white hall of Rakvere’s municipal government building. 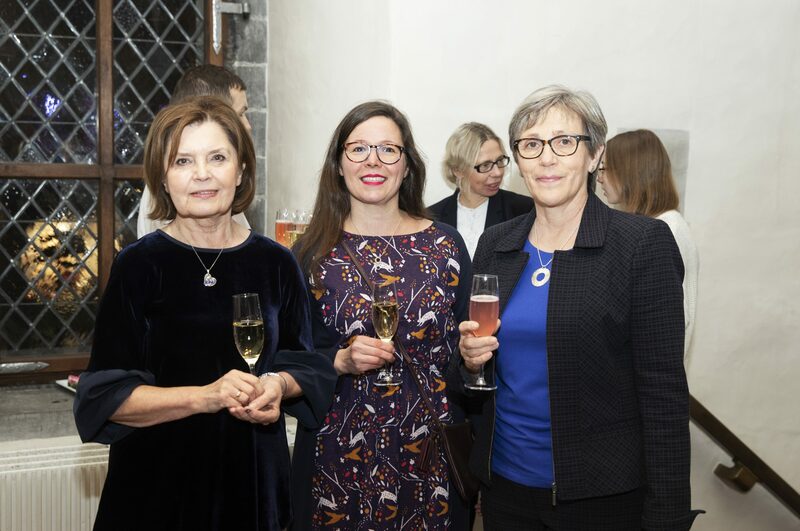 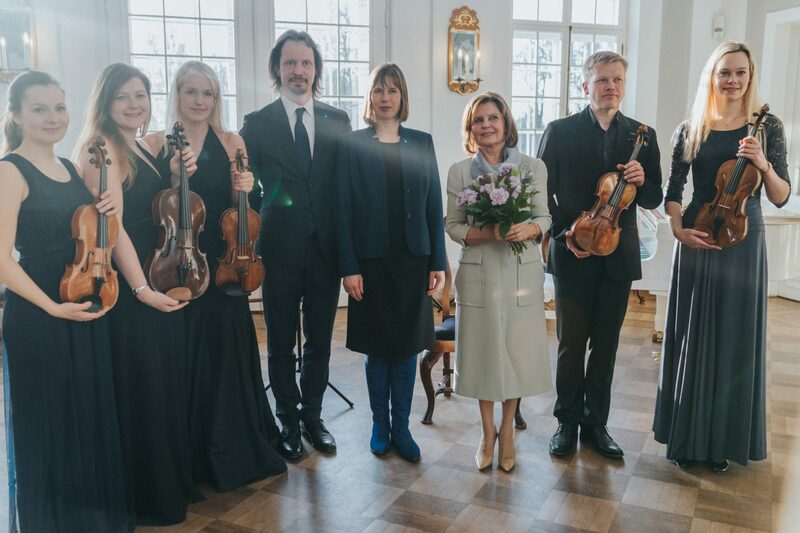 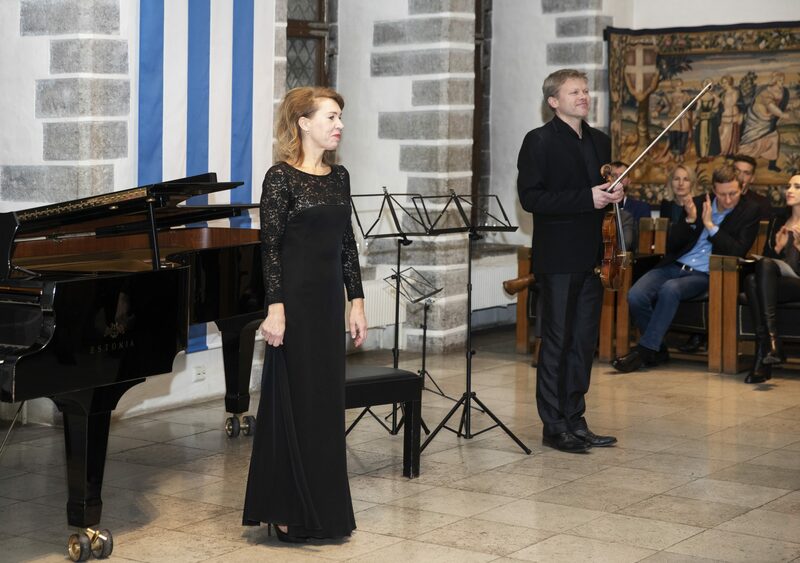 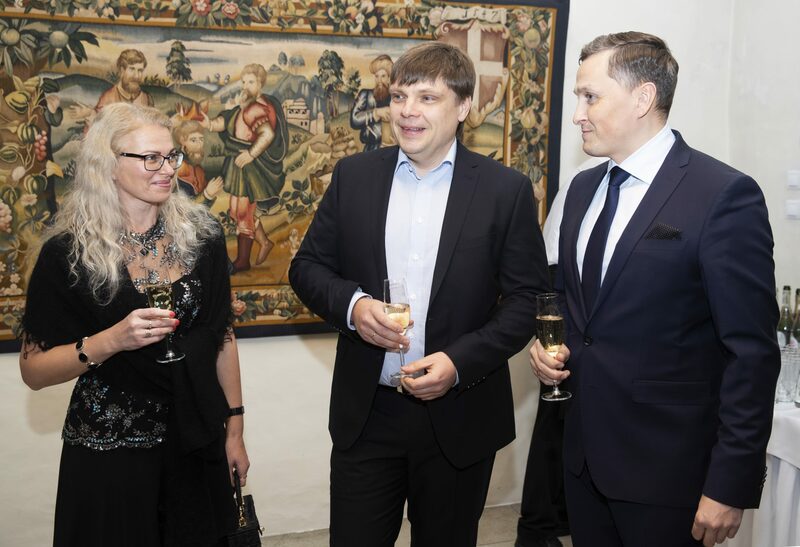 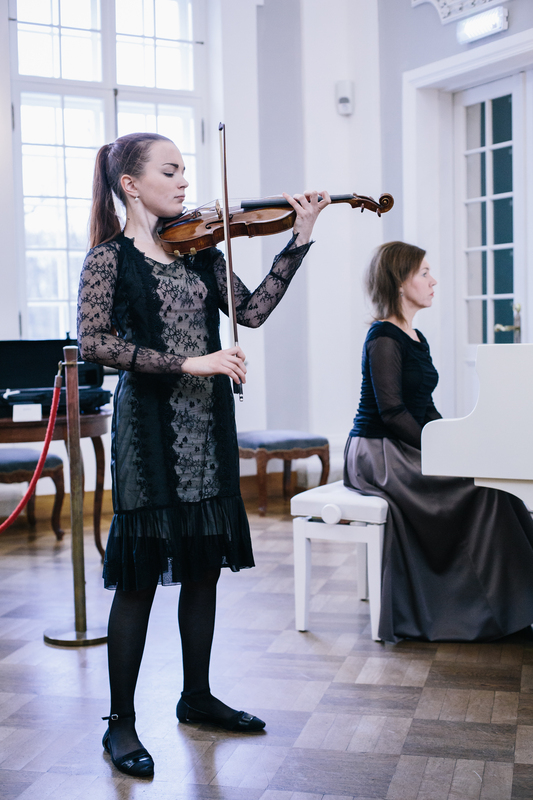 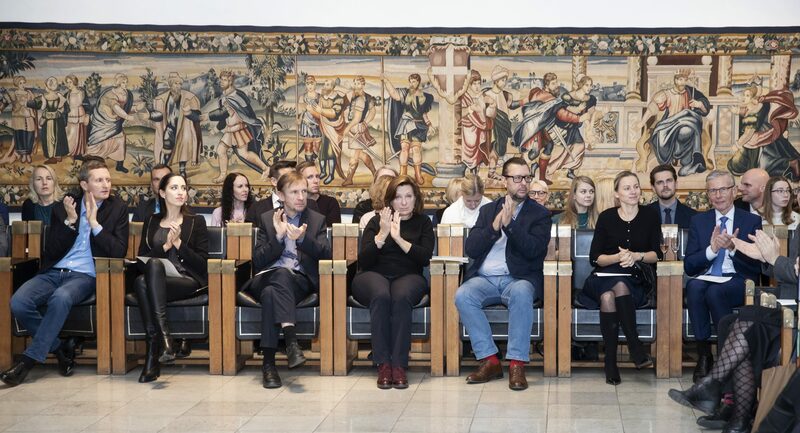 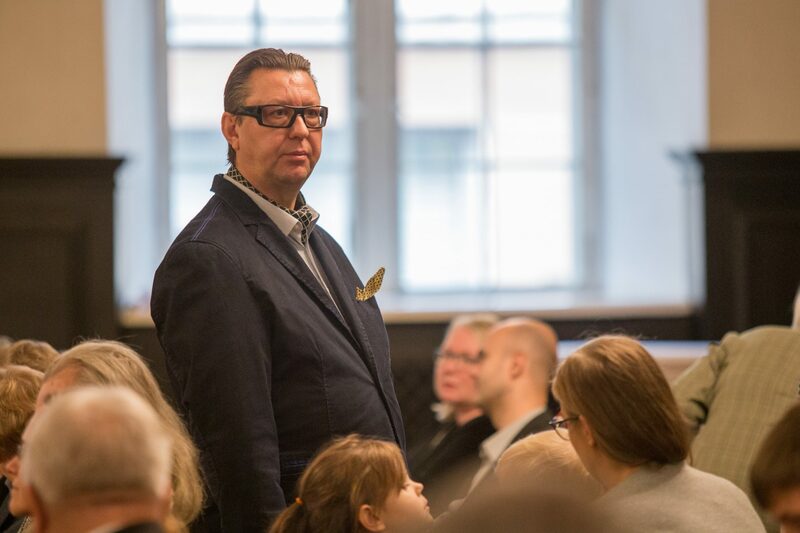 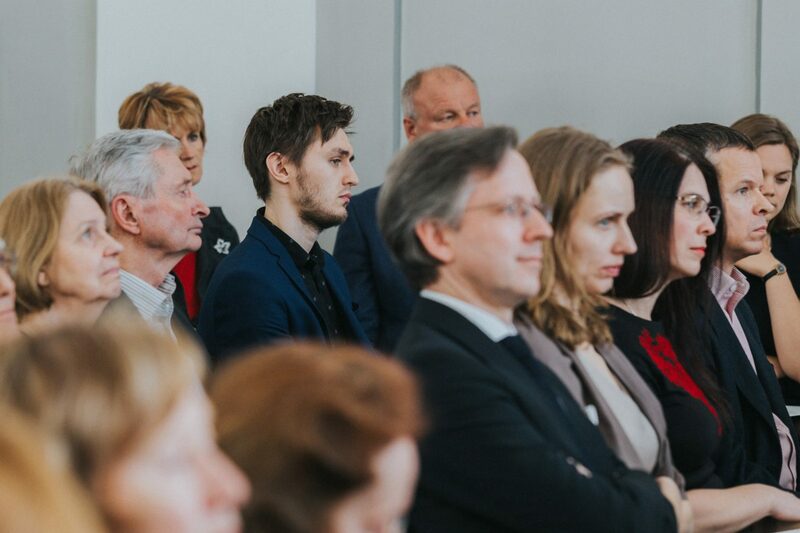 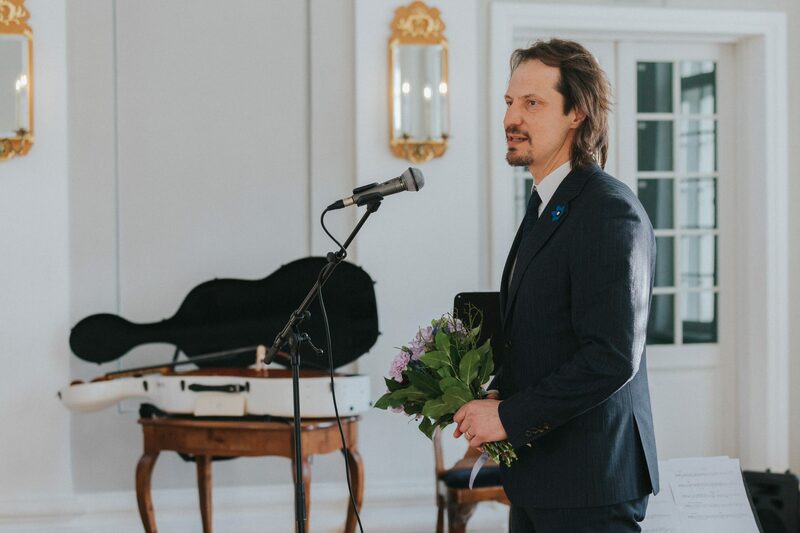 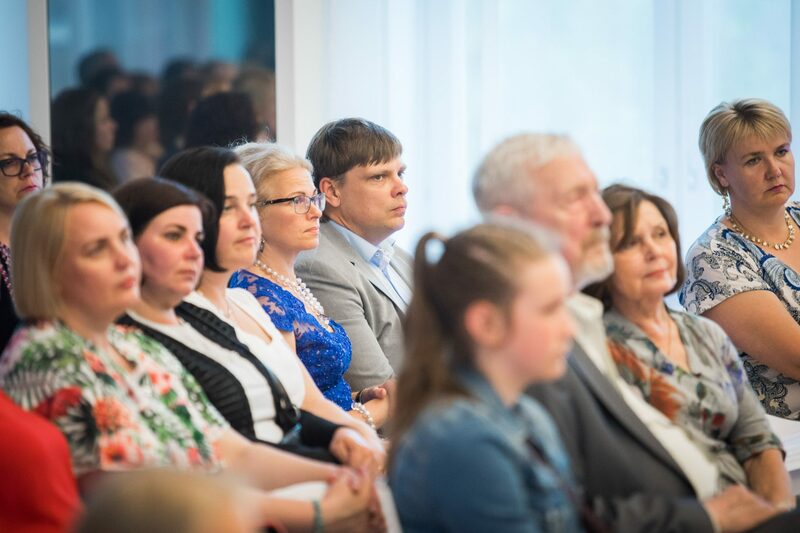 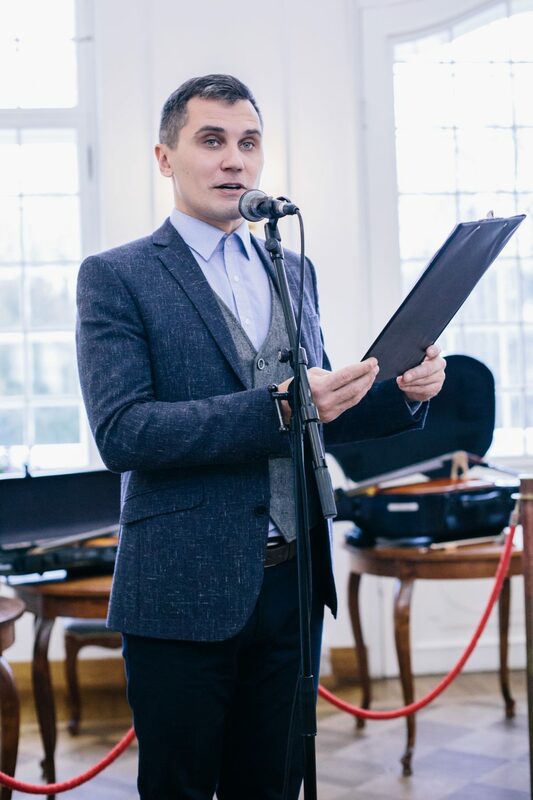 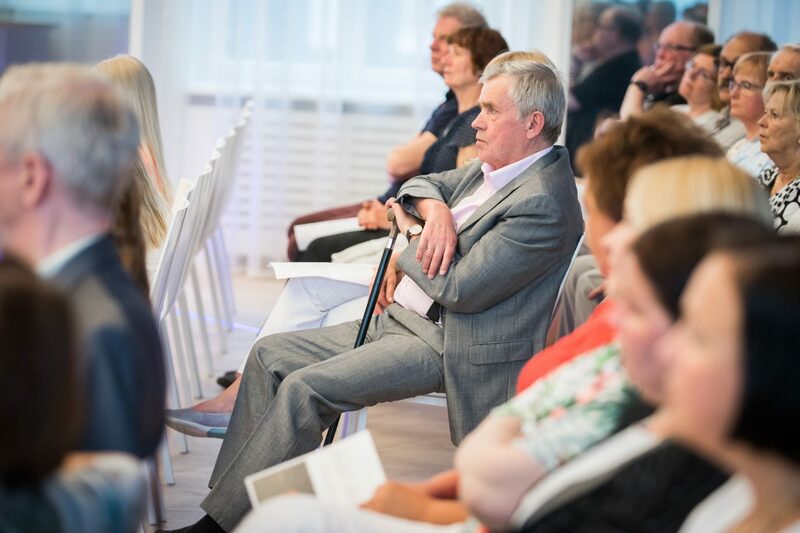 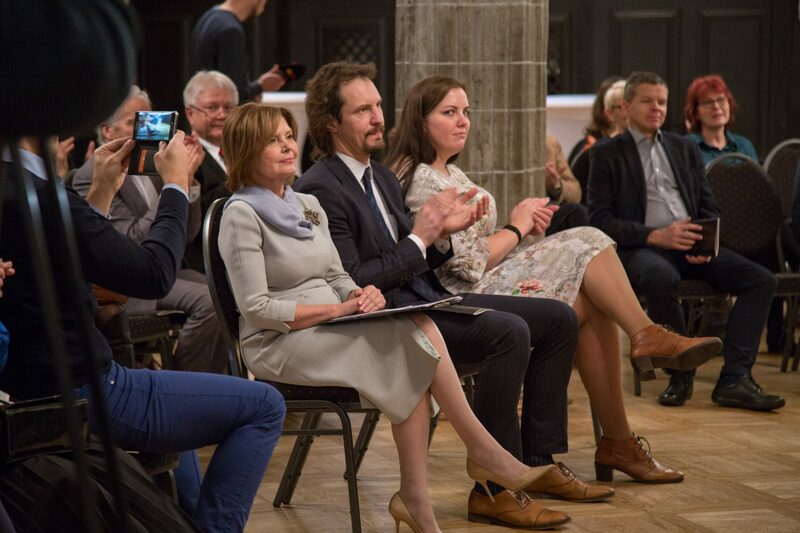 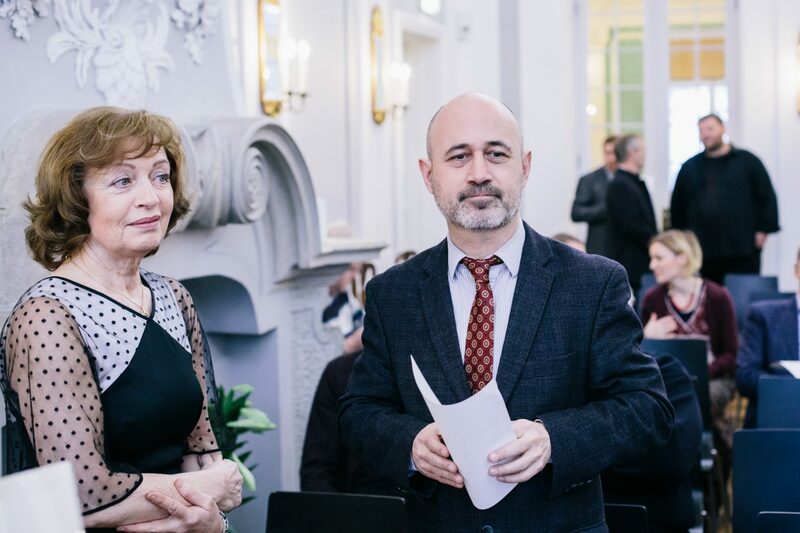 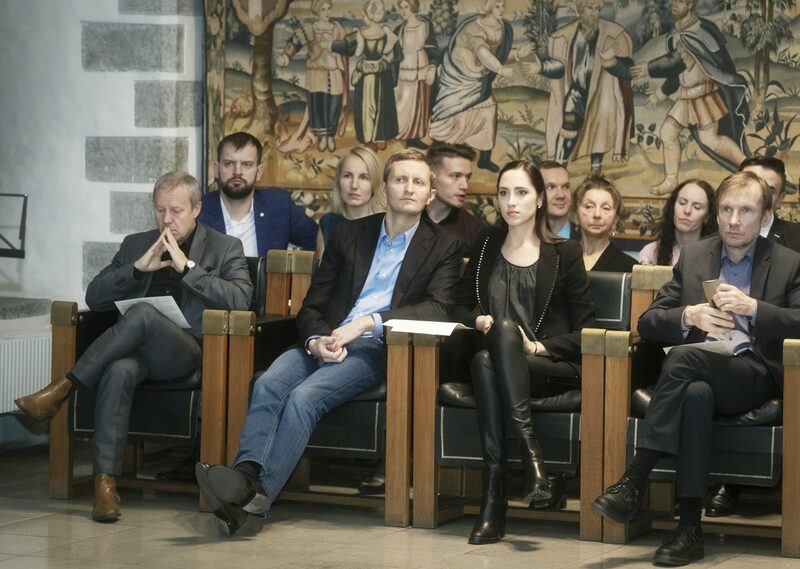 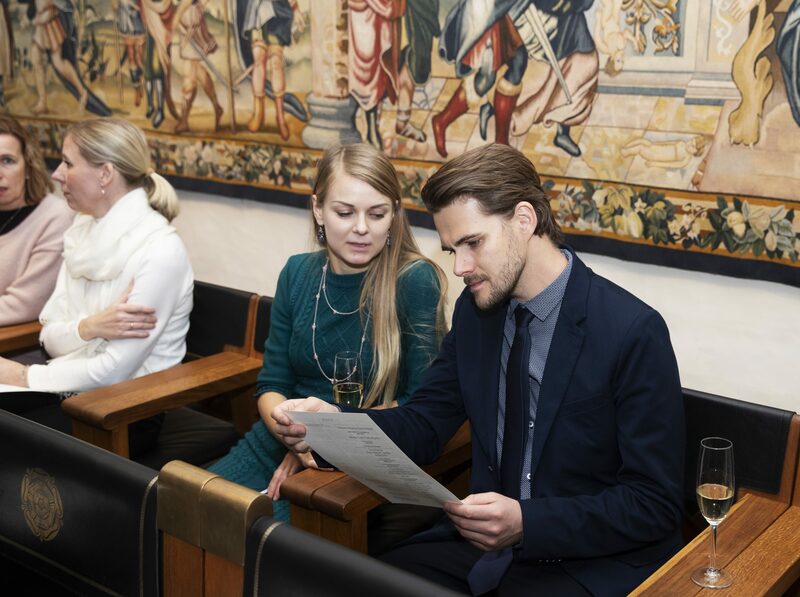 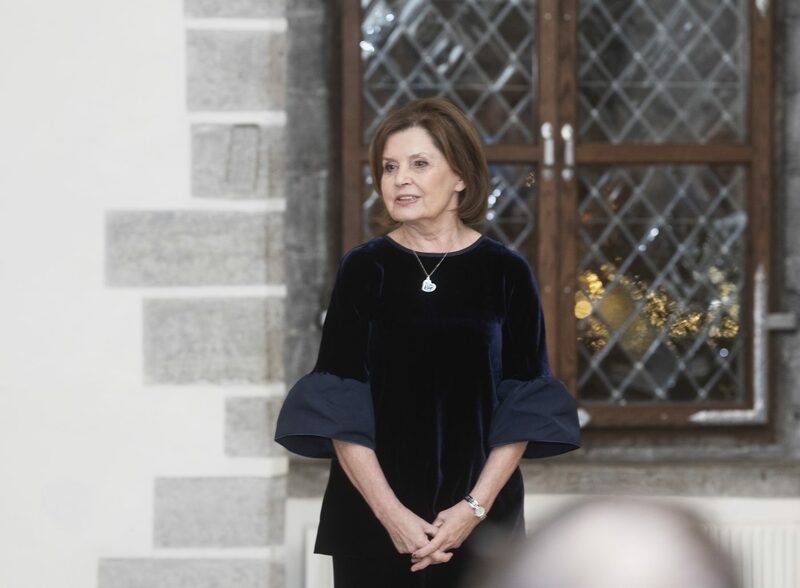 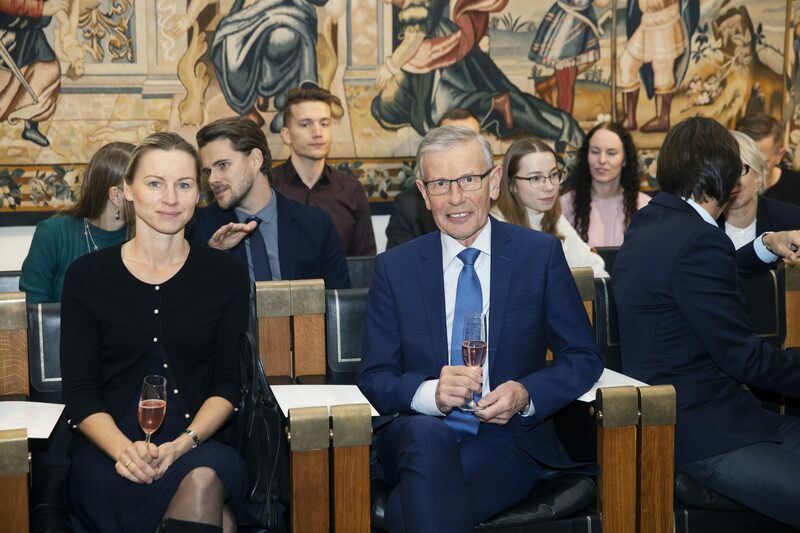 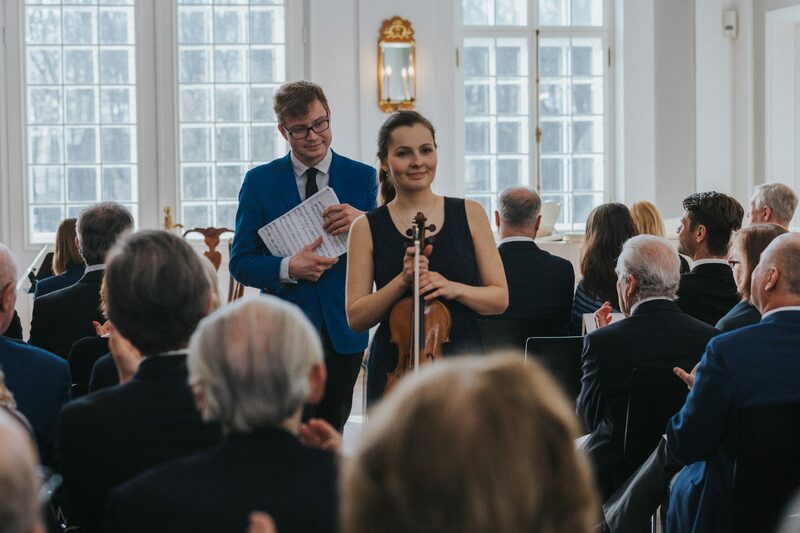 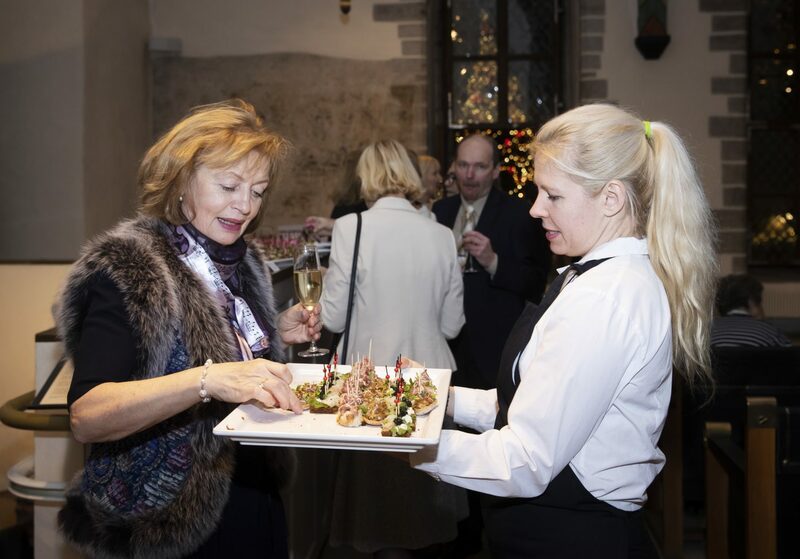 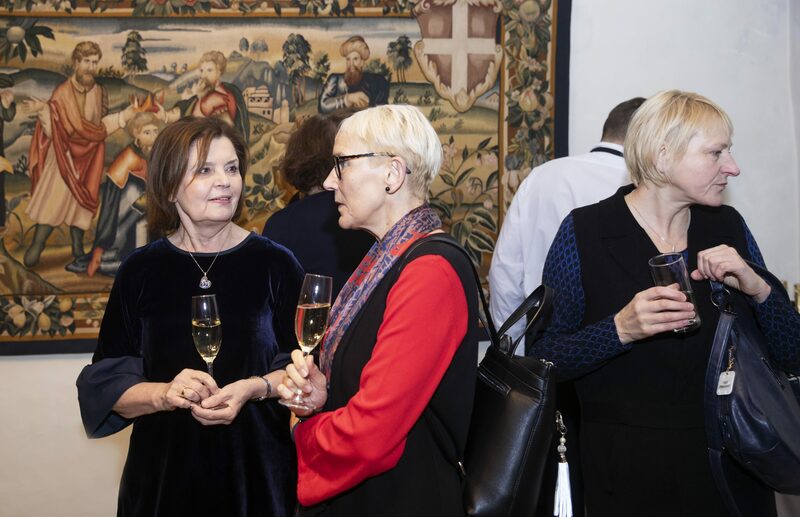 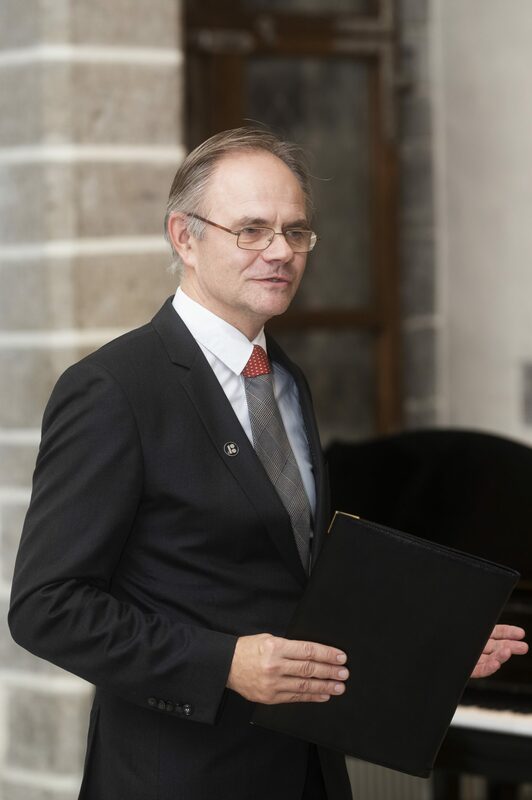 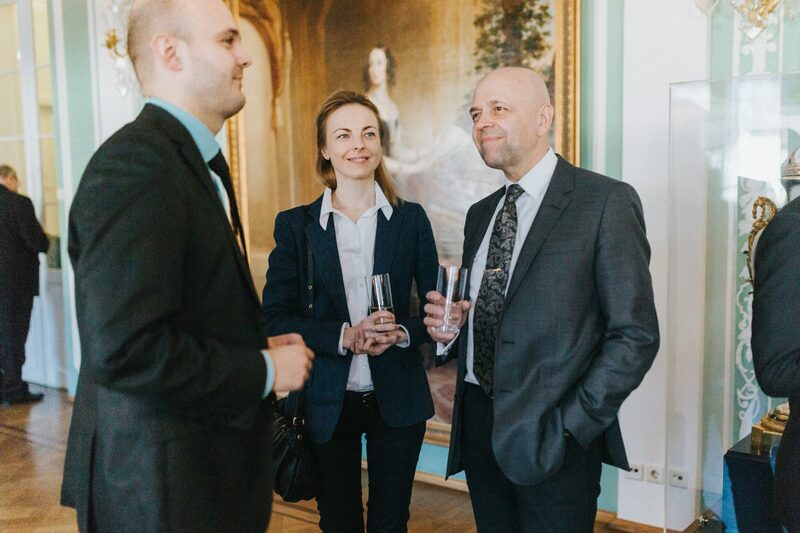 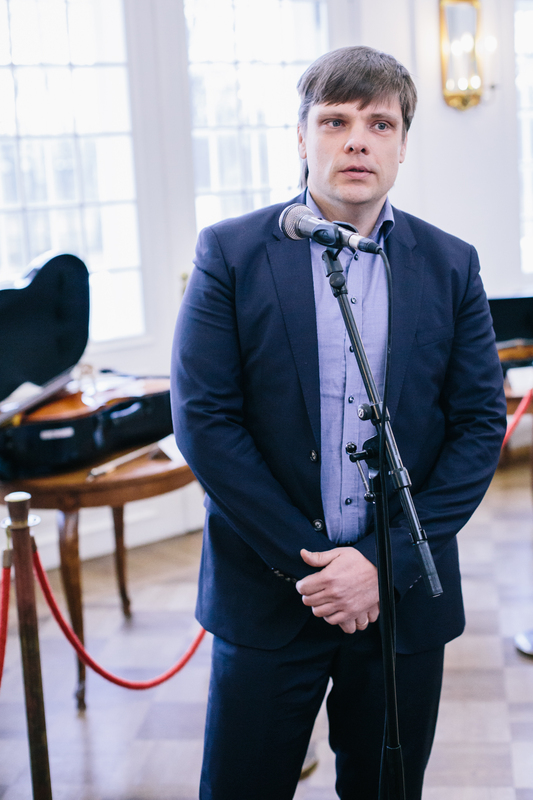 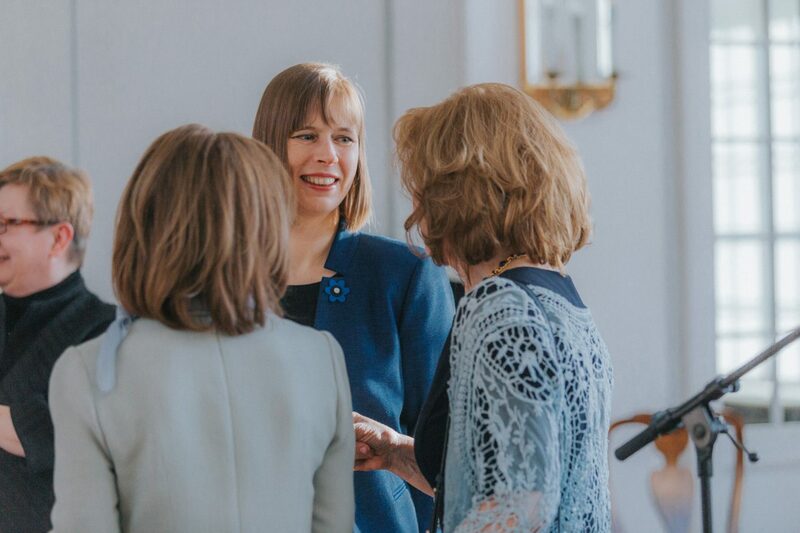 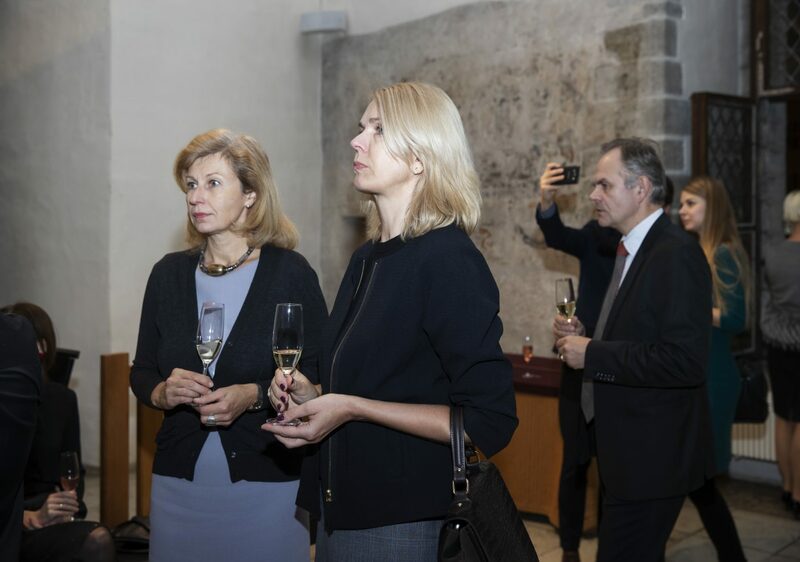 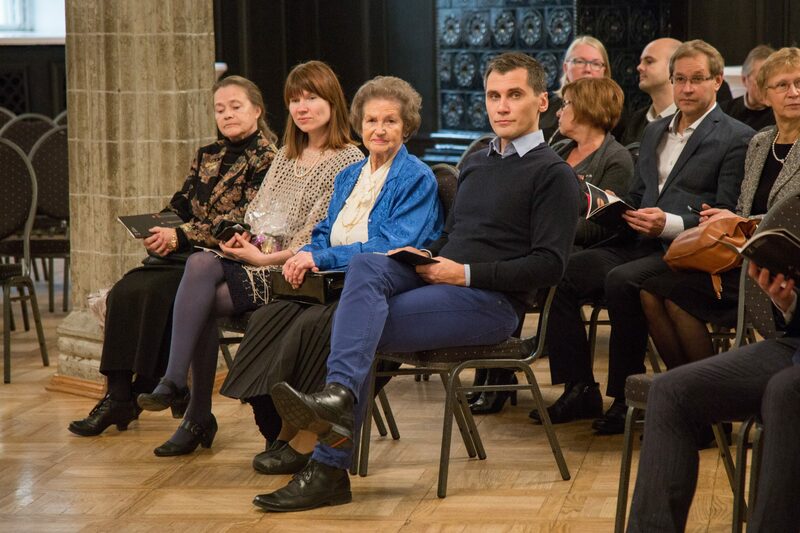 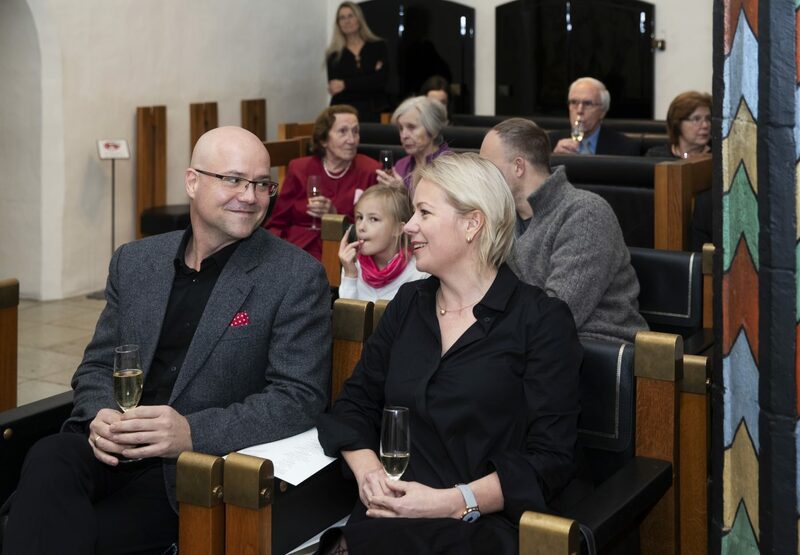 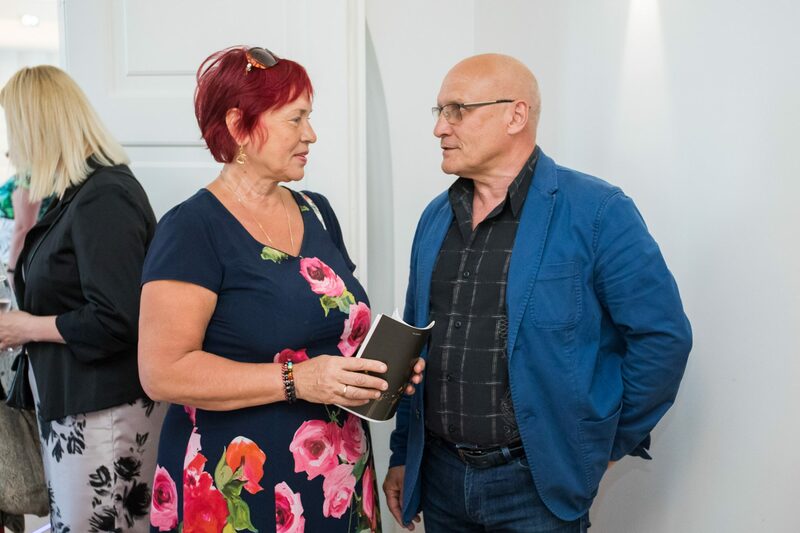 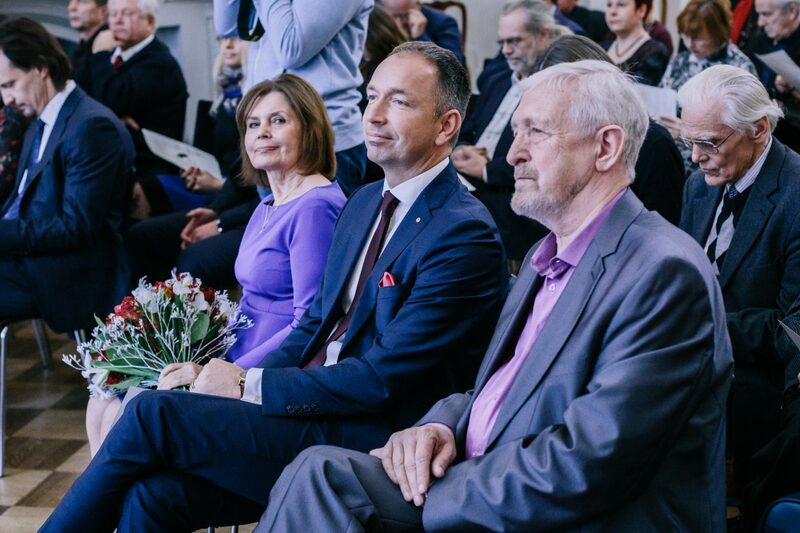 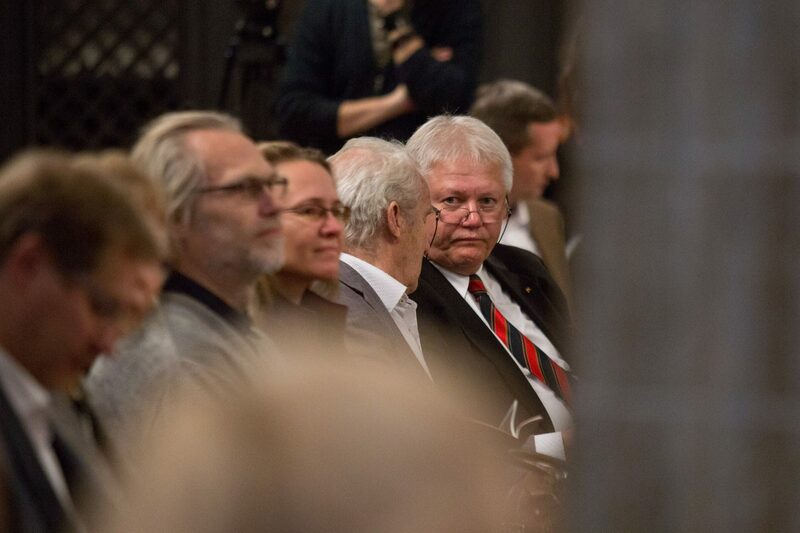 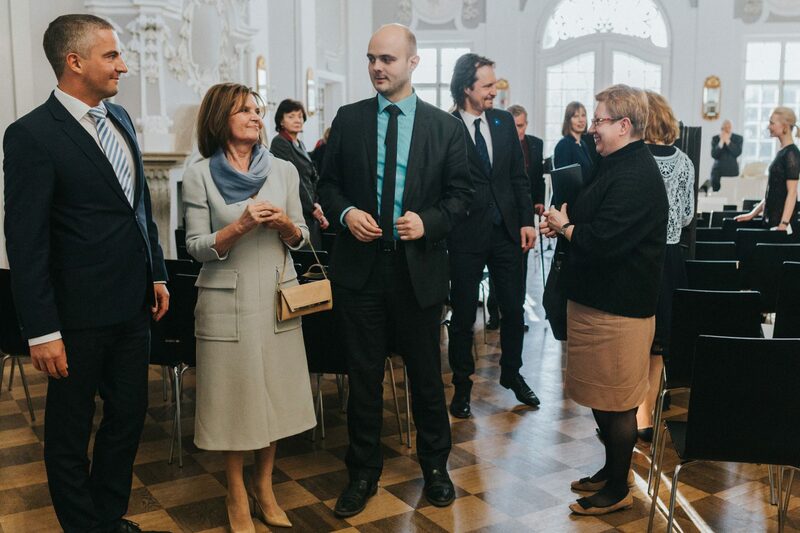 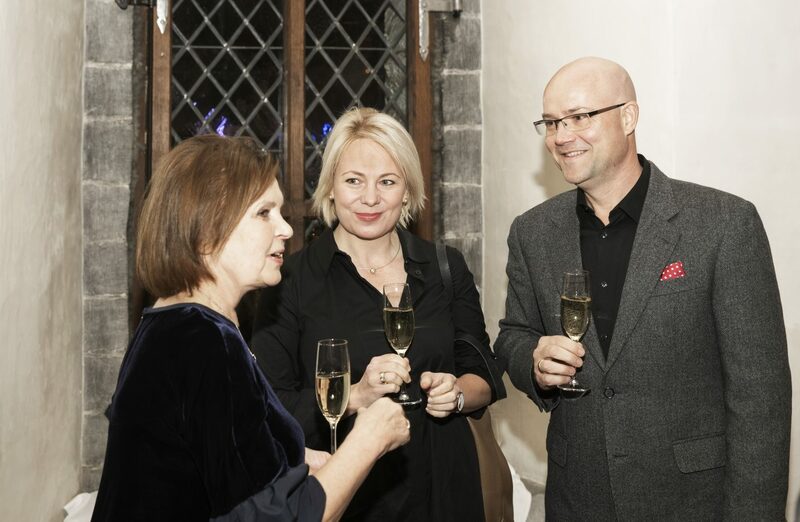 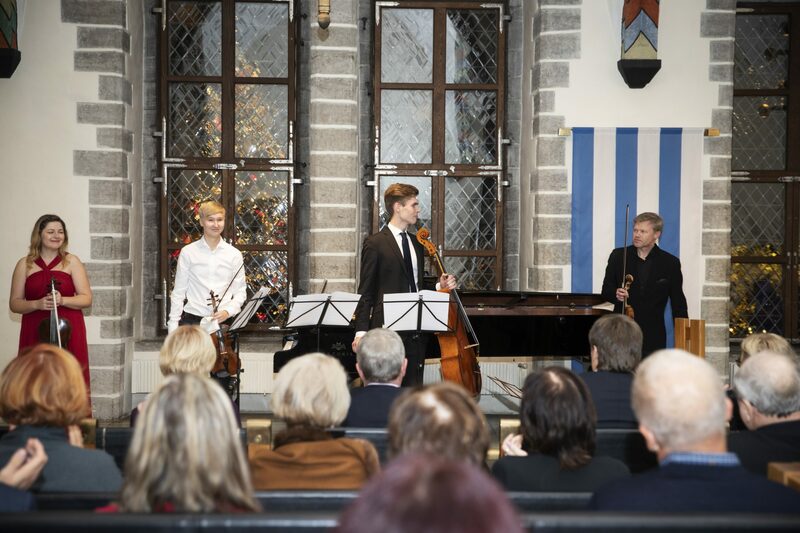 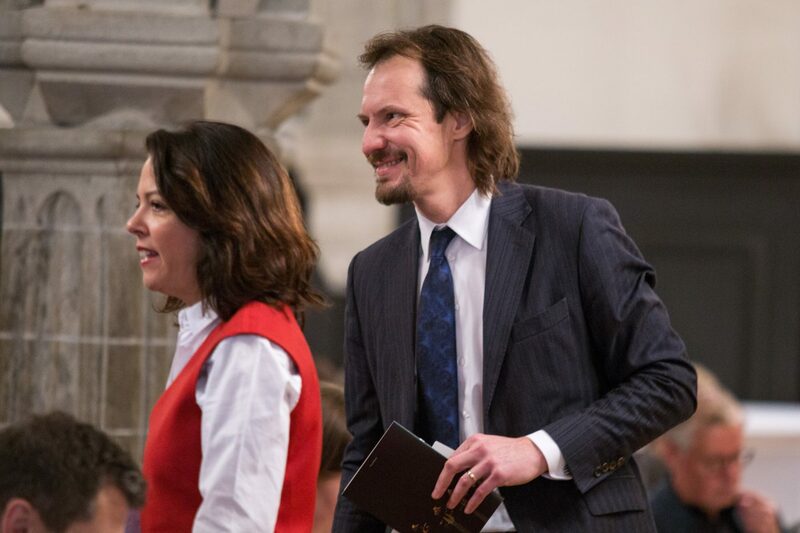 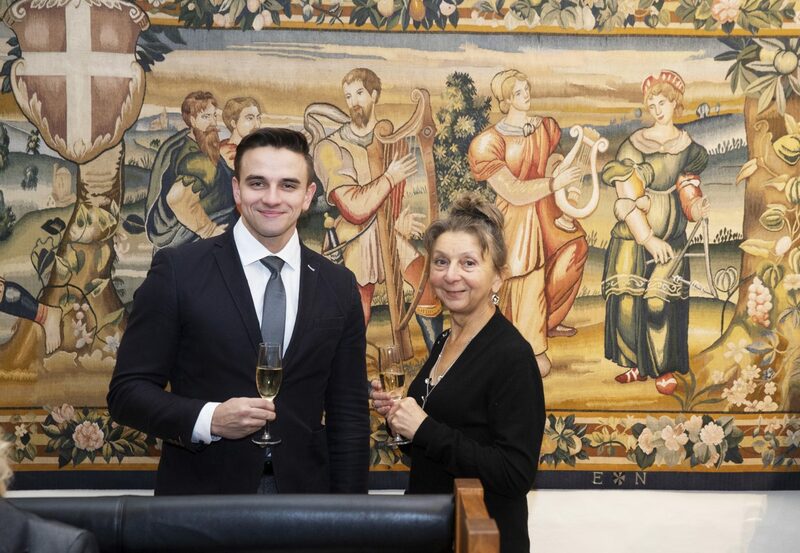 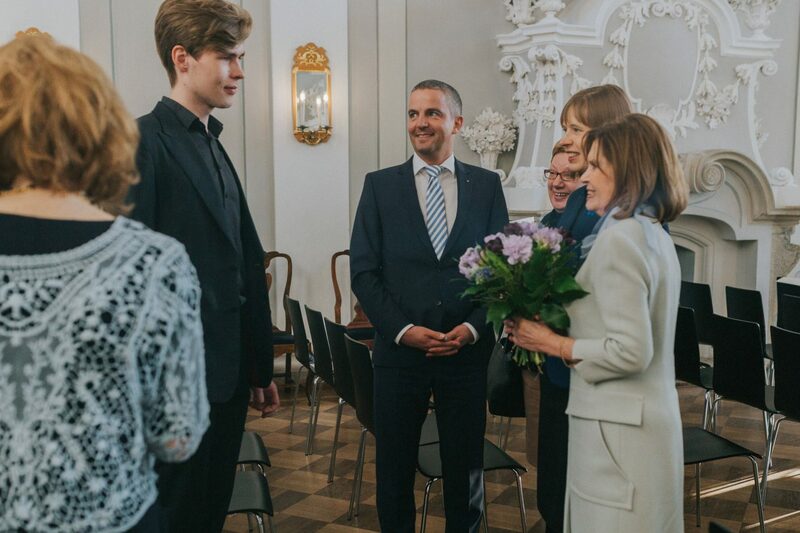 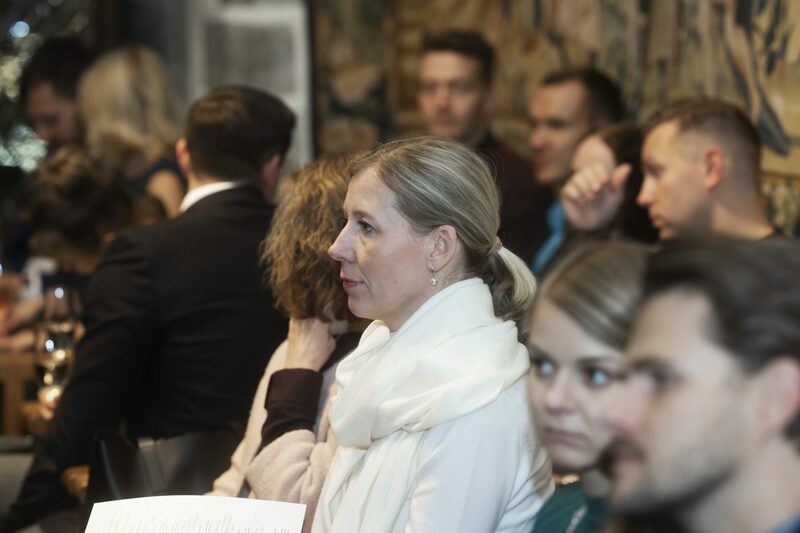 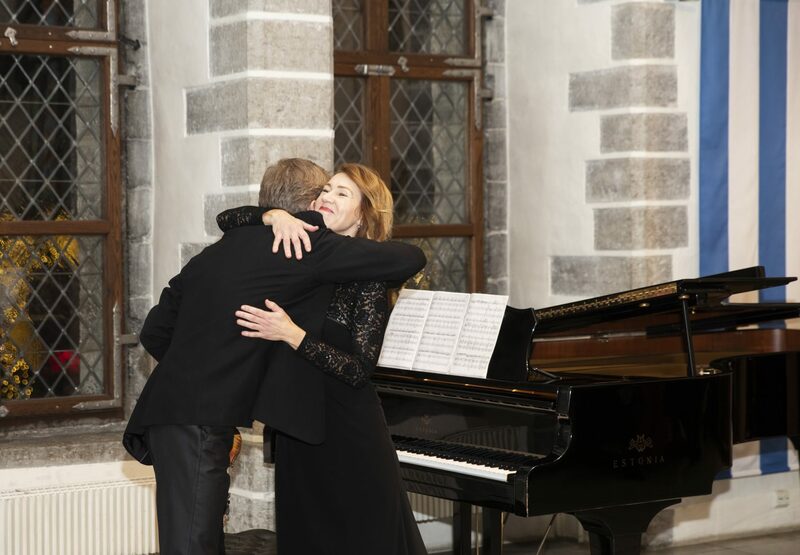 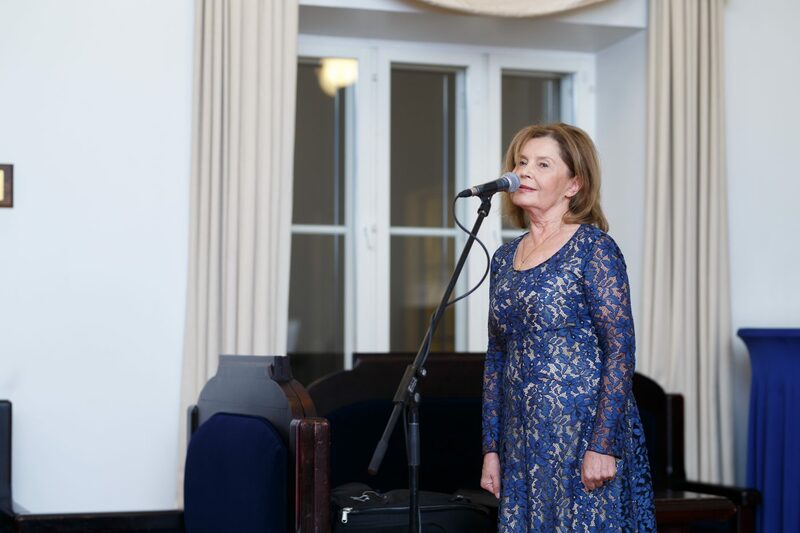 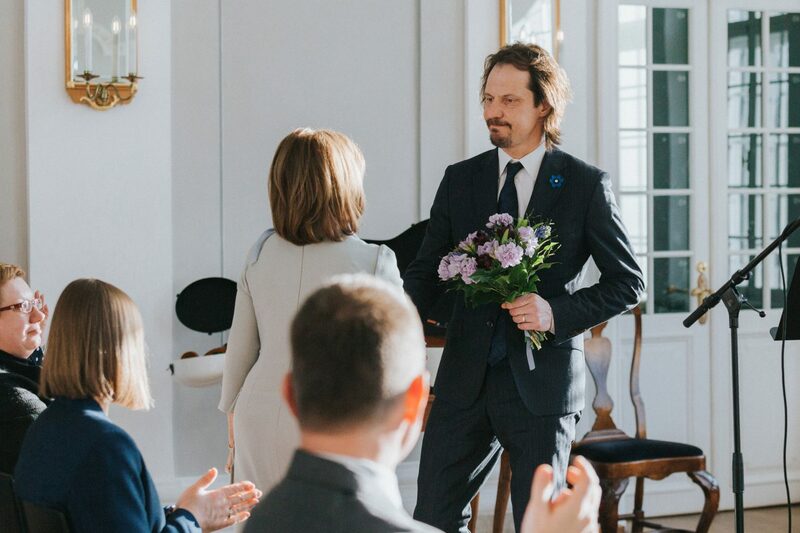 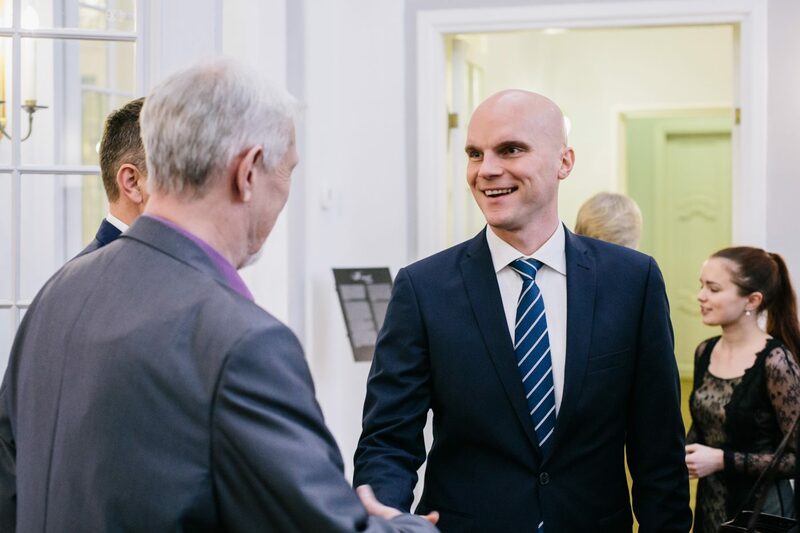 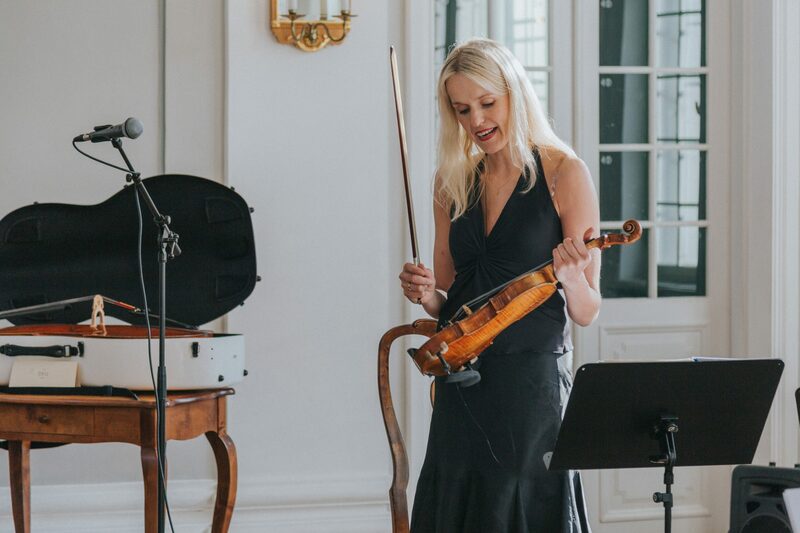 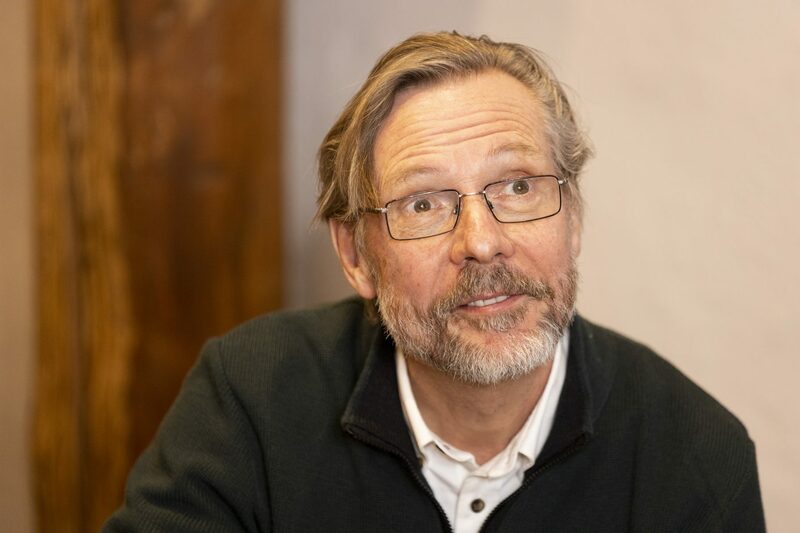 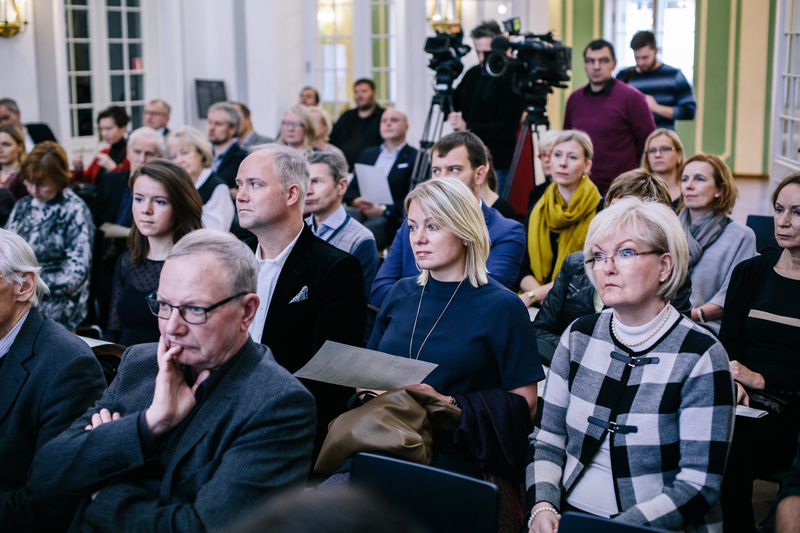 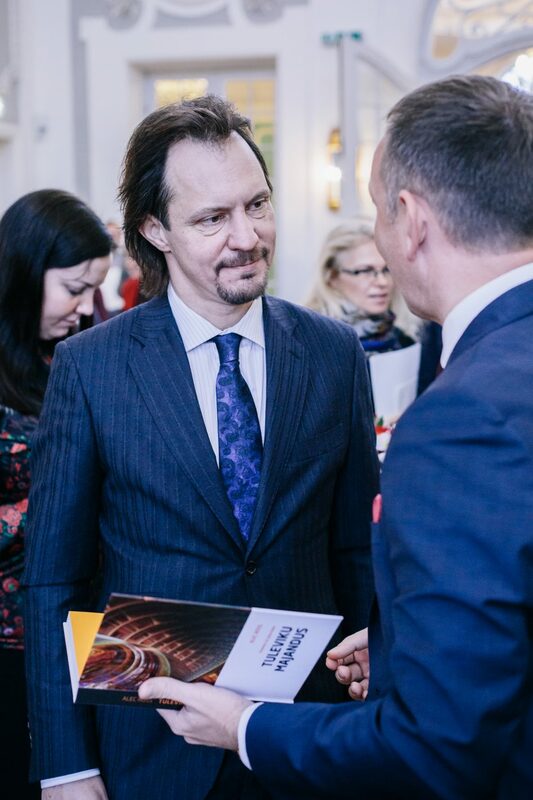 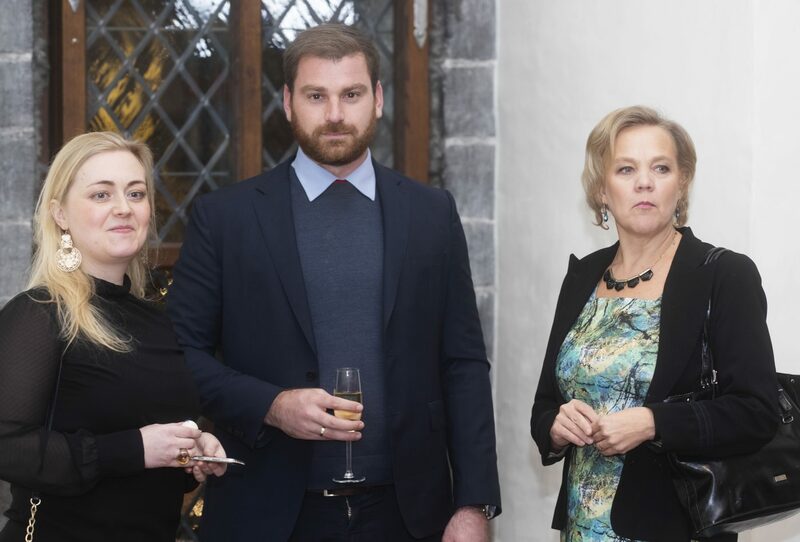 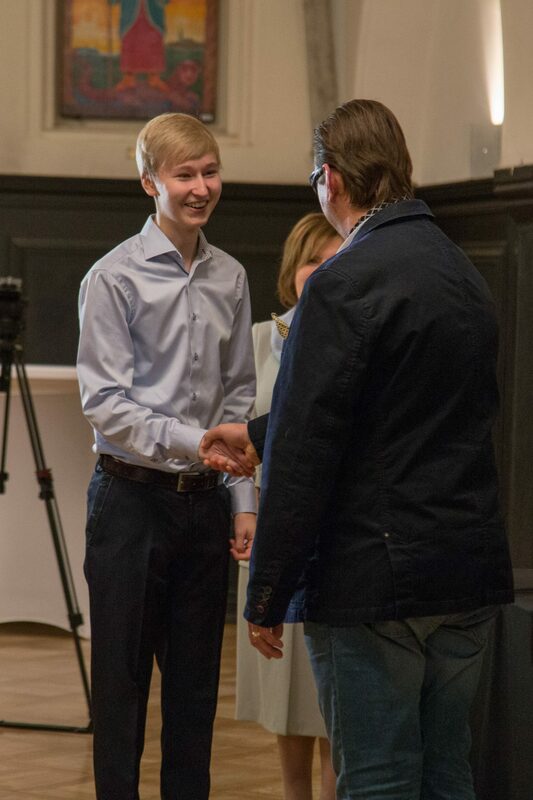 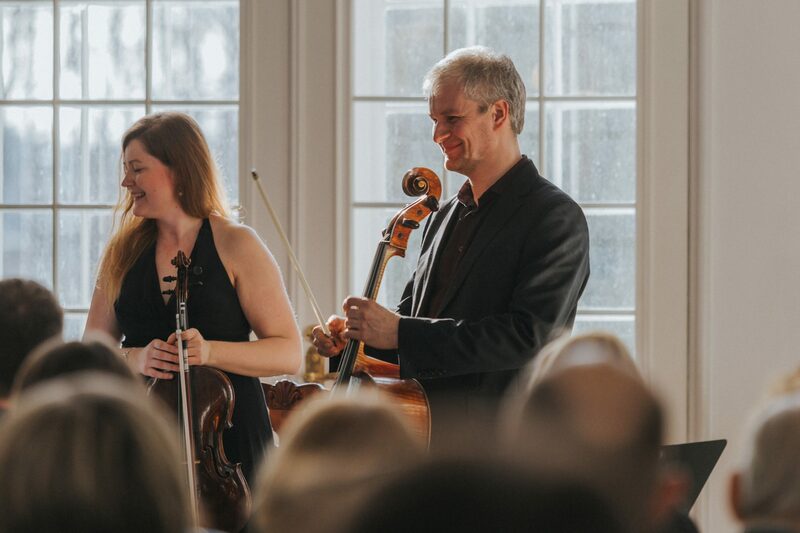 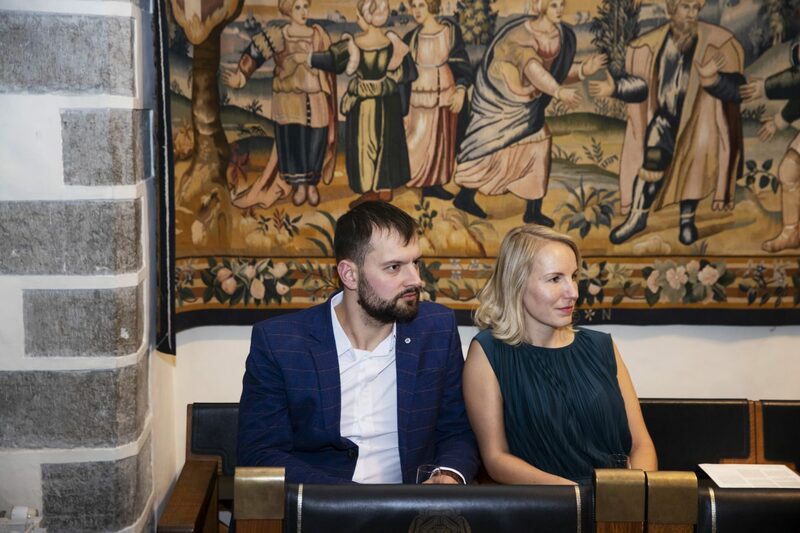 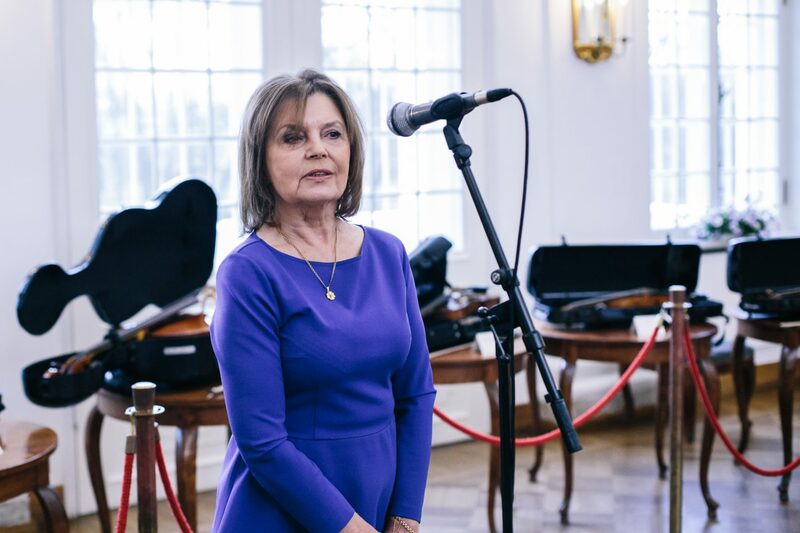 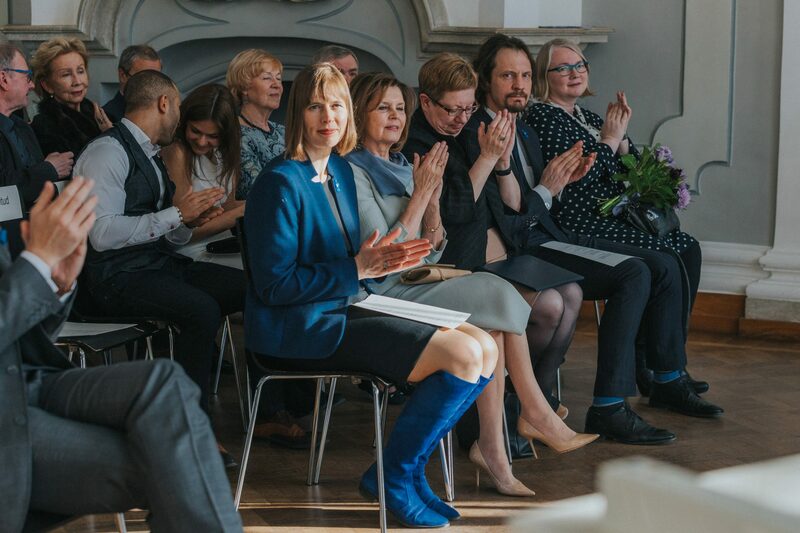 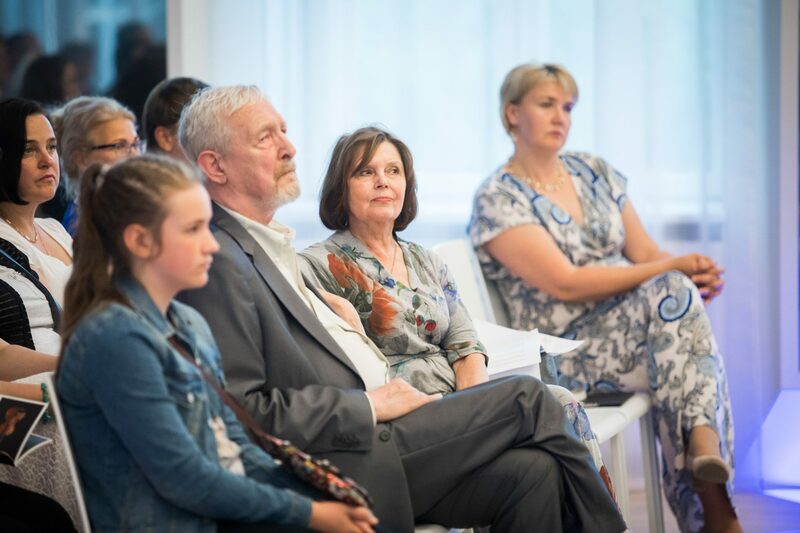 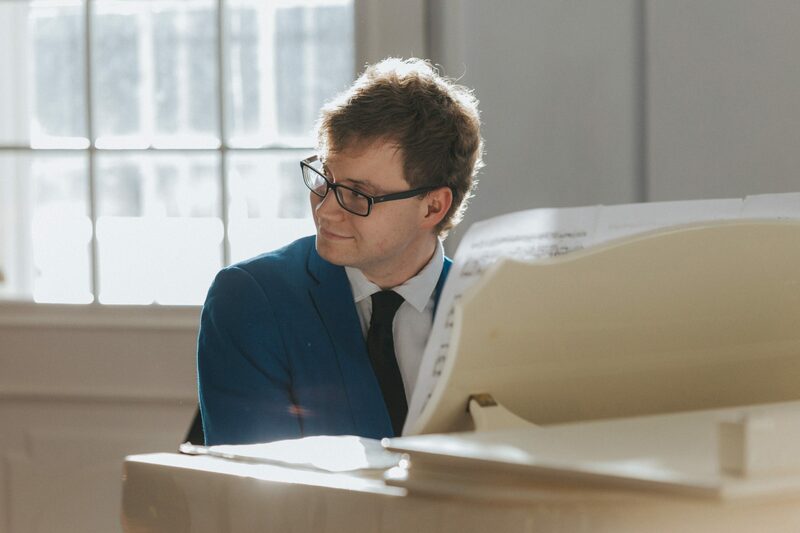 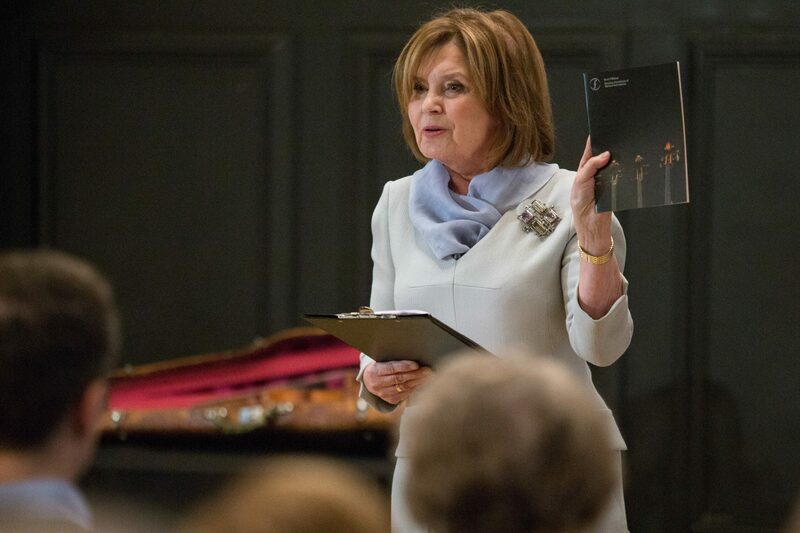 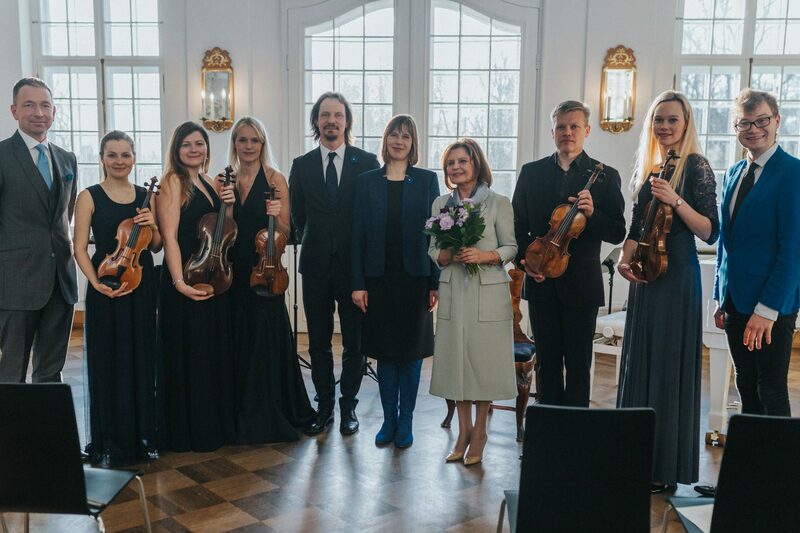 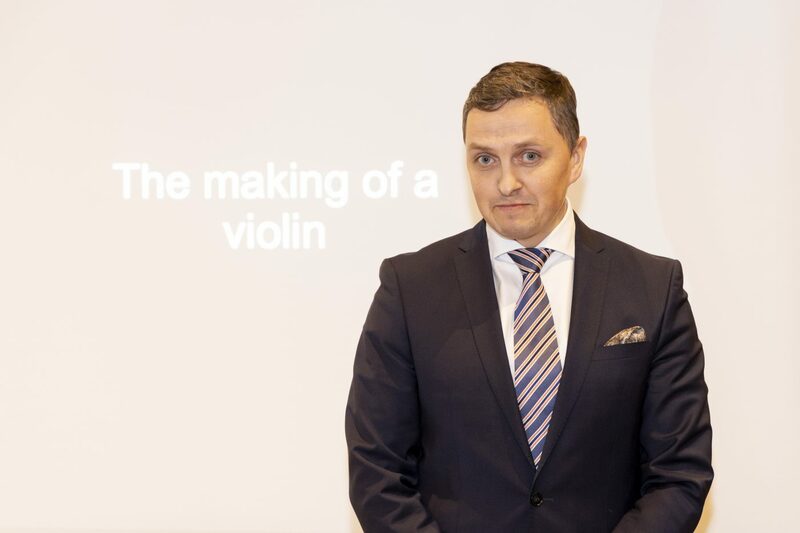 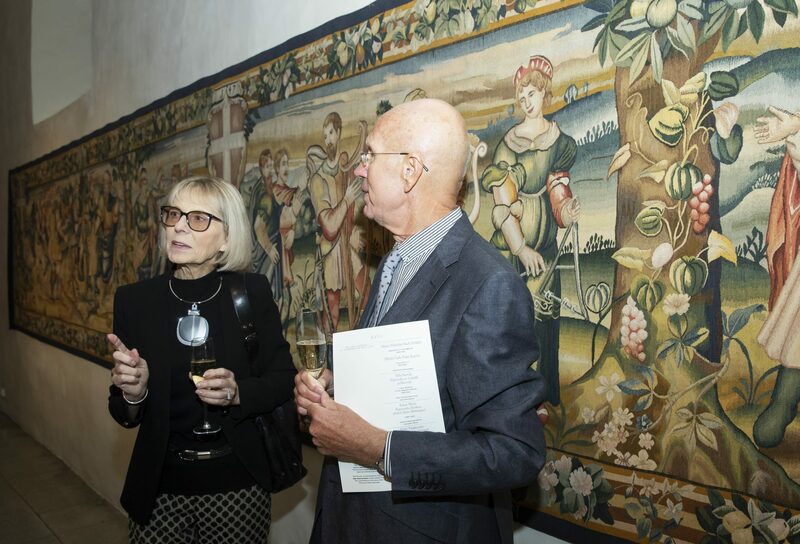 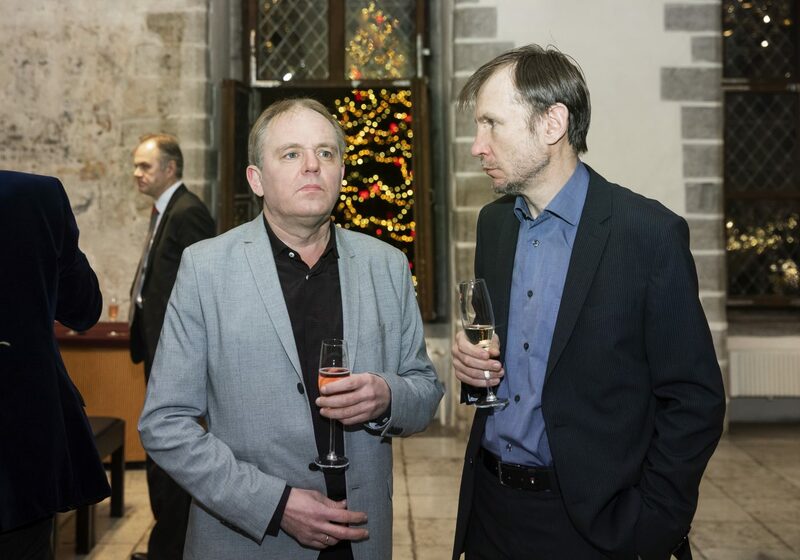 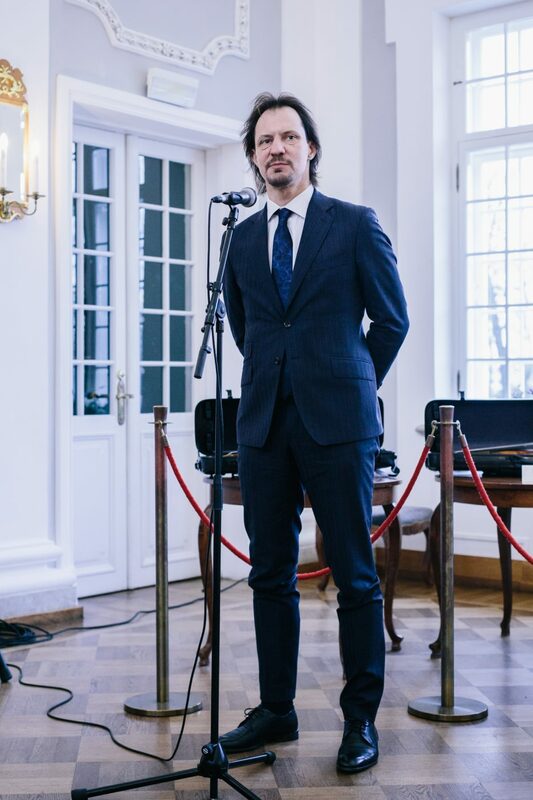 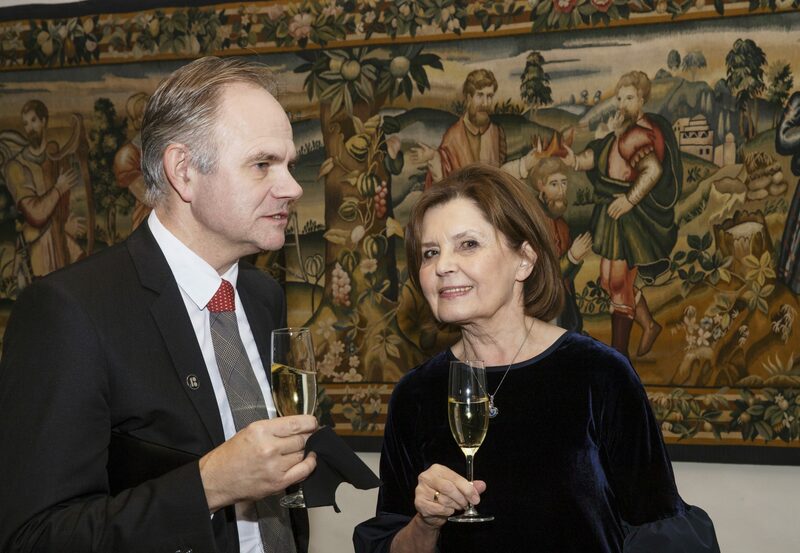 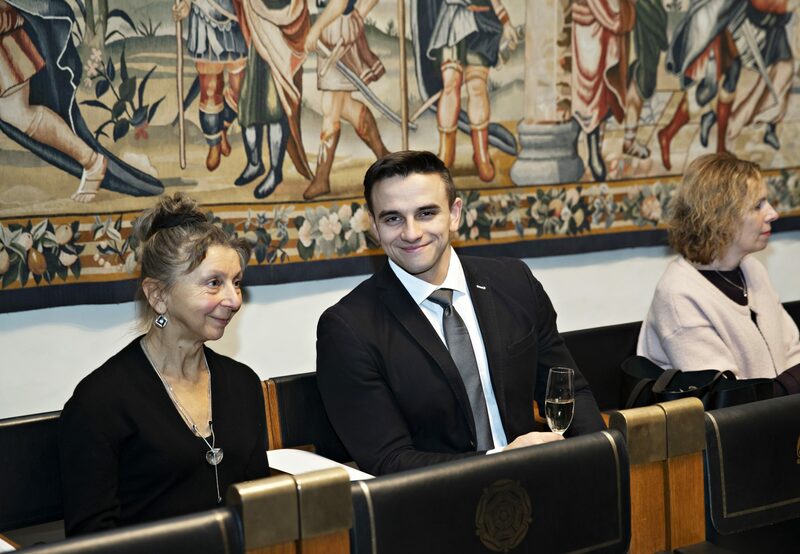 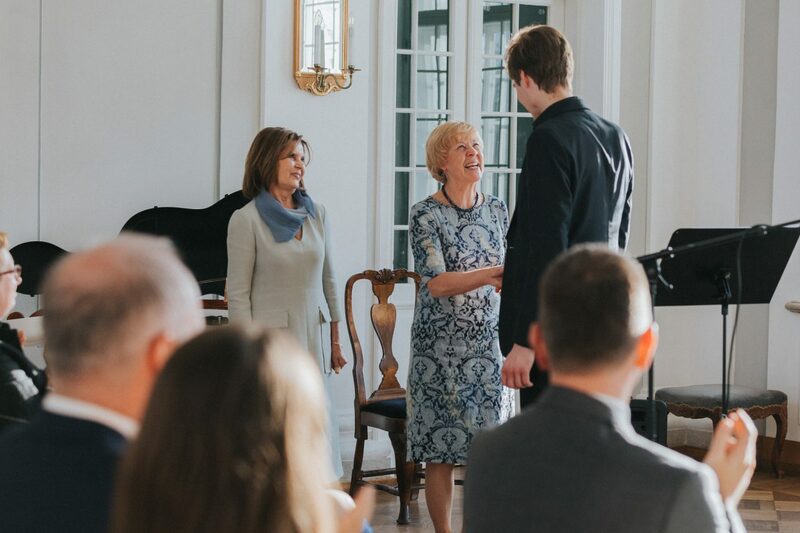 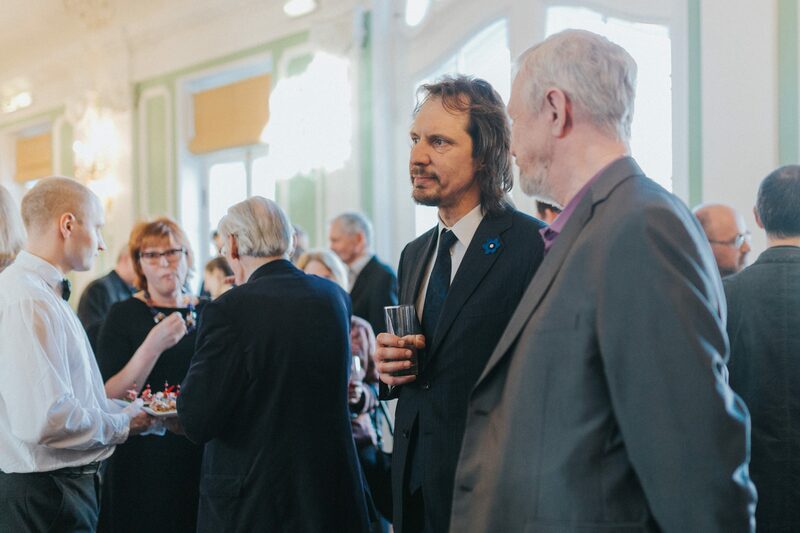 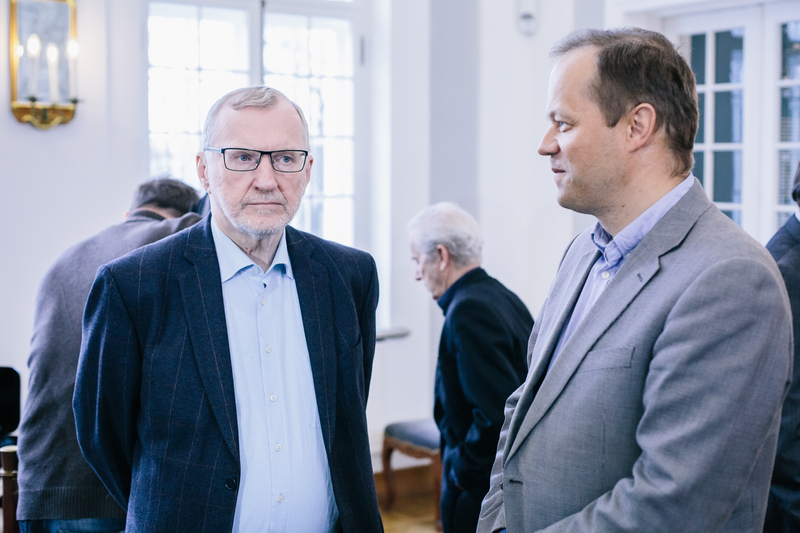 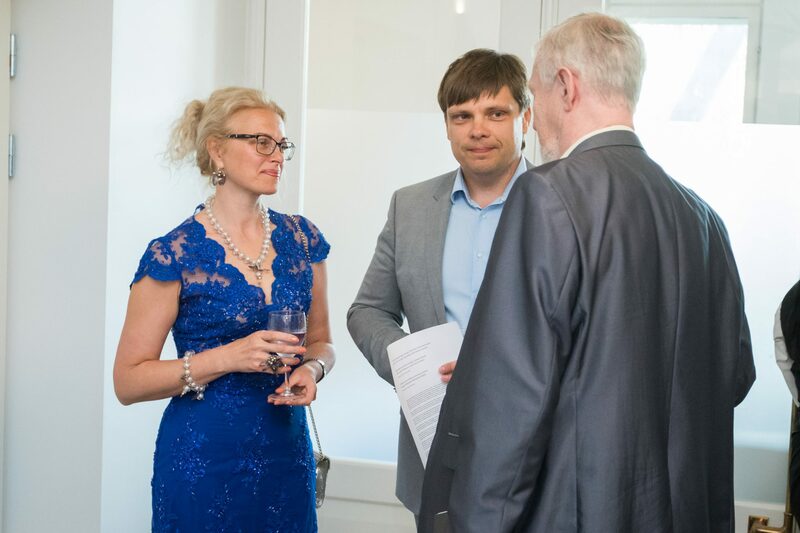 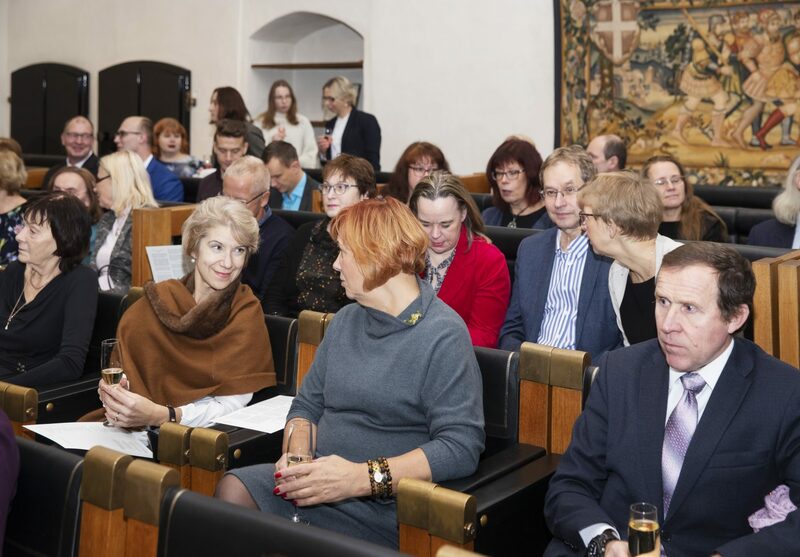 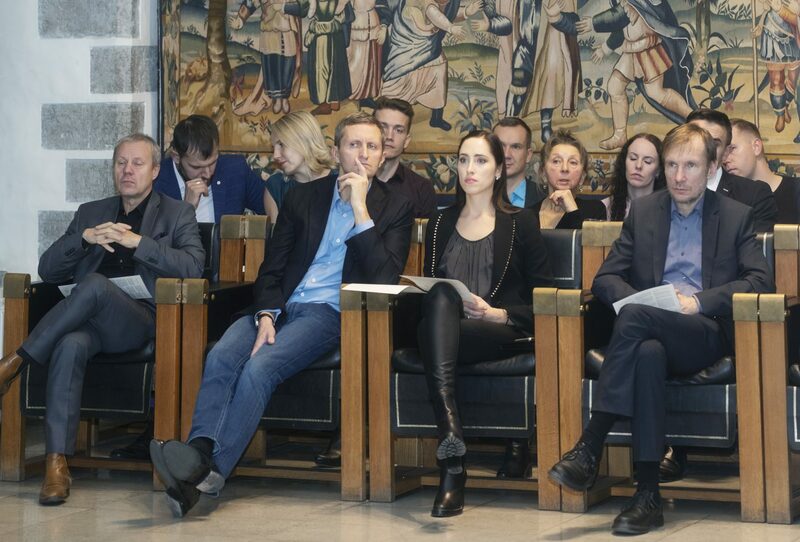 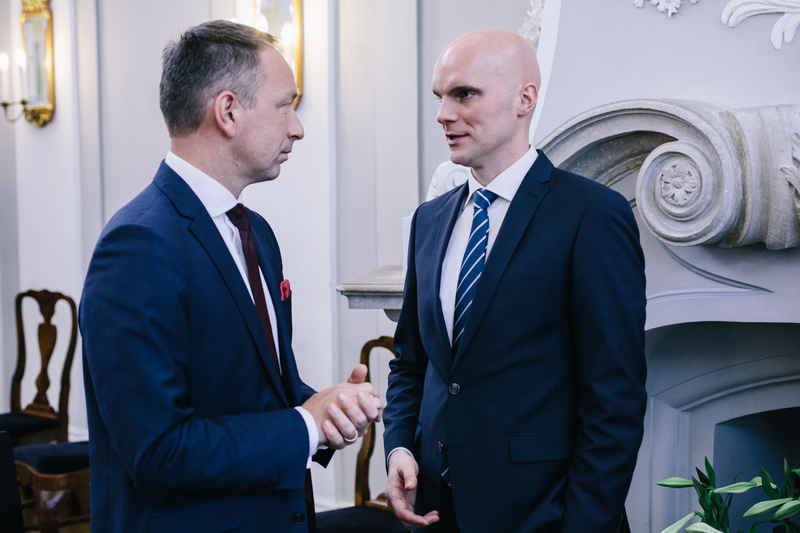 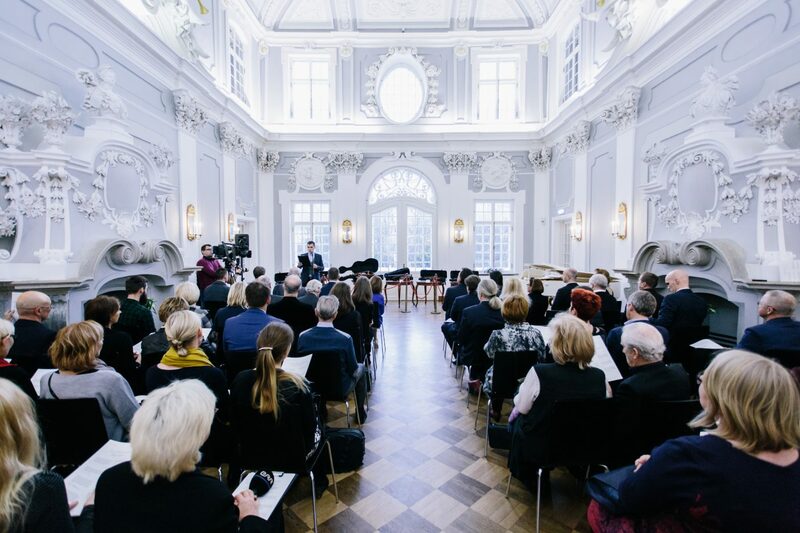 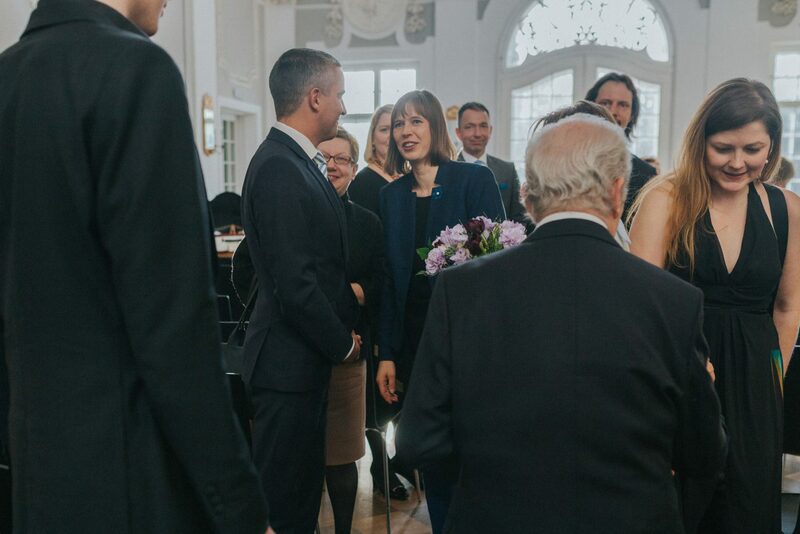 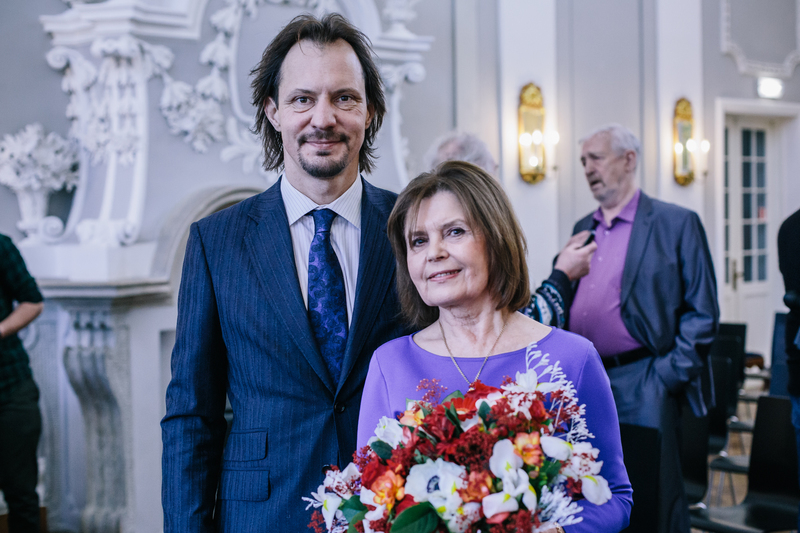 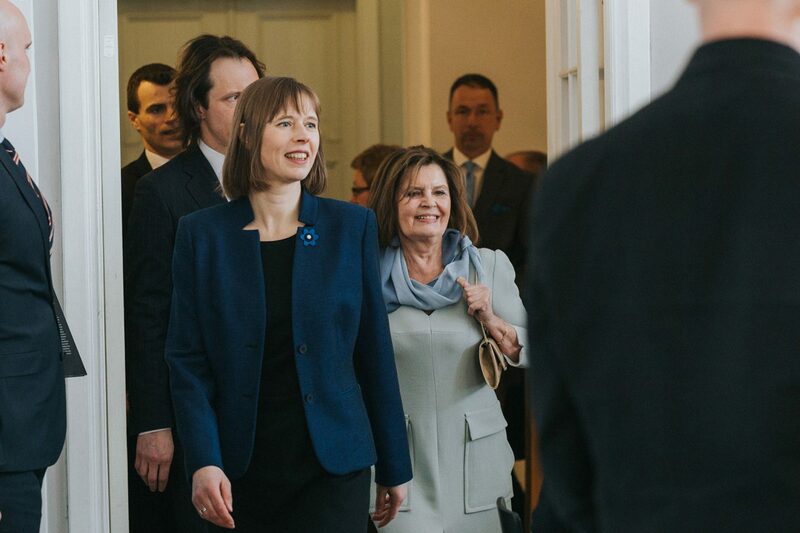 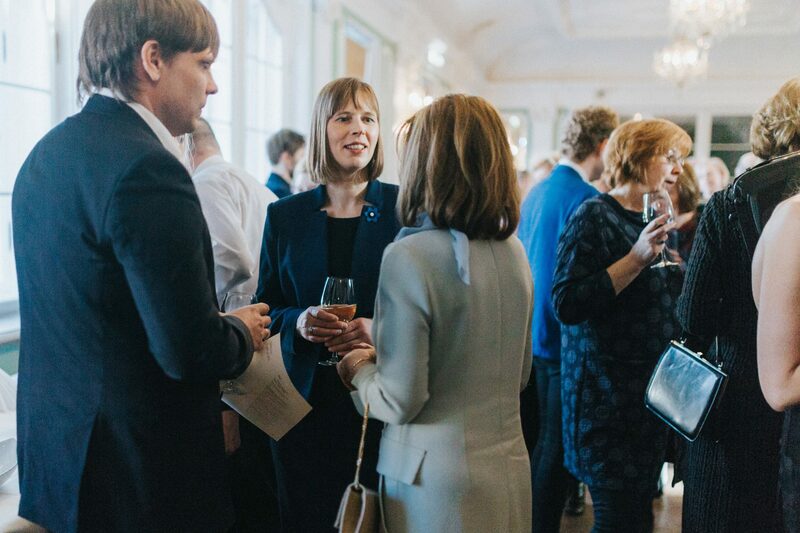 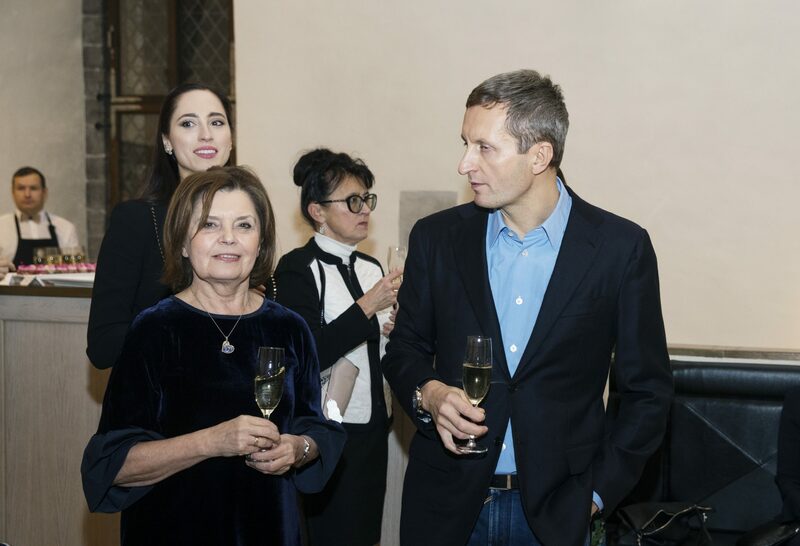 The concert was preceded by a reception where the guests were welcomed by the mayor Marko Torm, Estonian Foundation of Musical Instruments director Marje Lohuaru and the Instrument Foundation’s investor Maivi Kaljuvee. 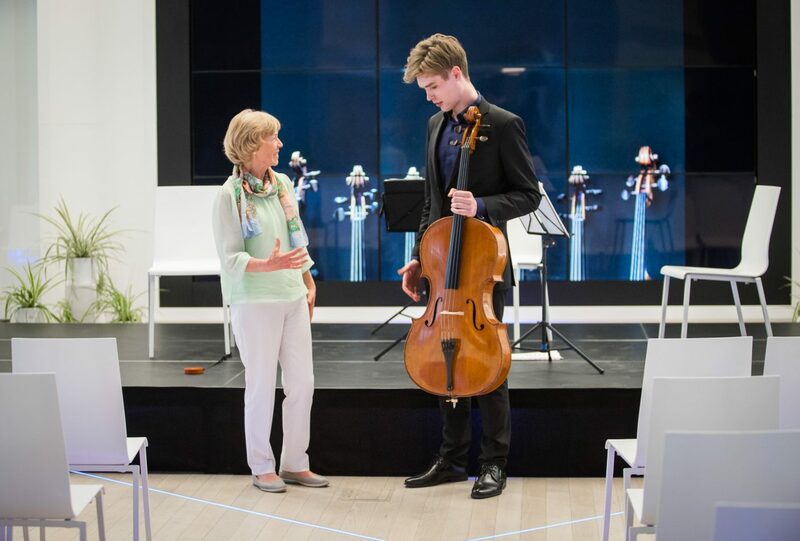 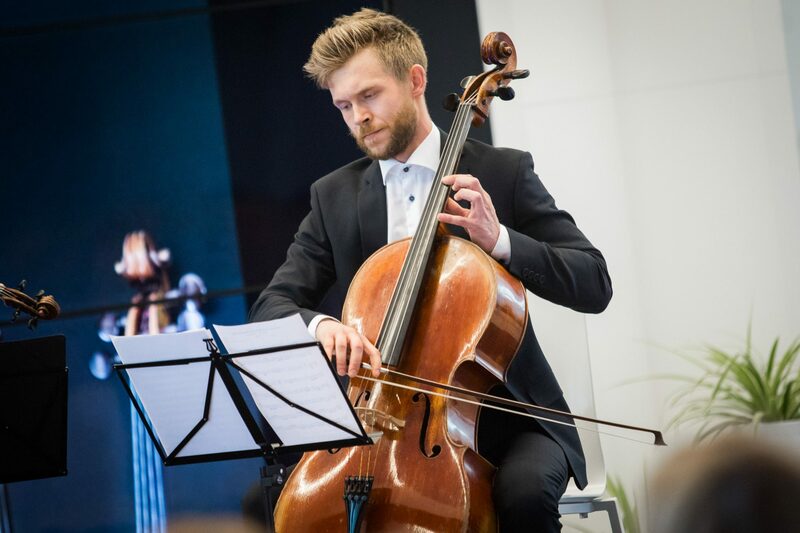 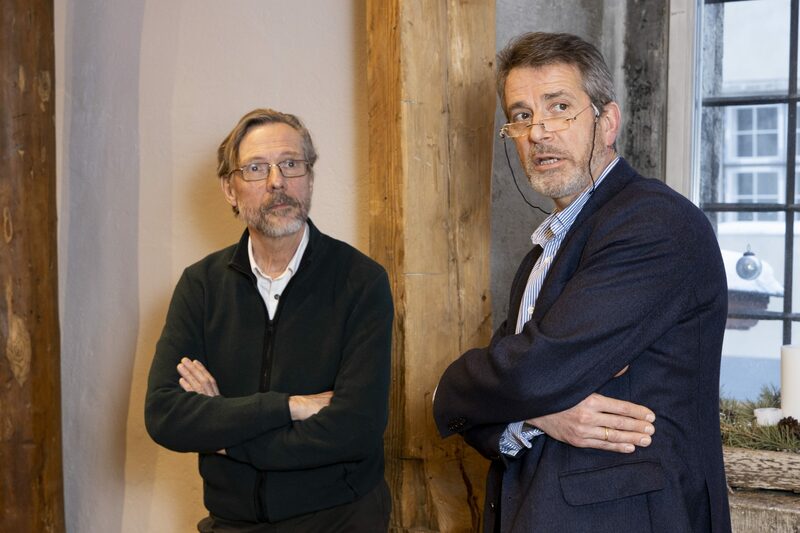 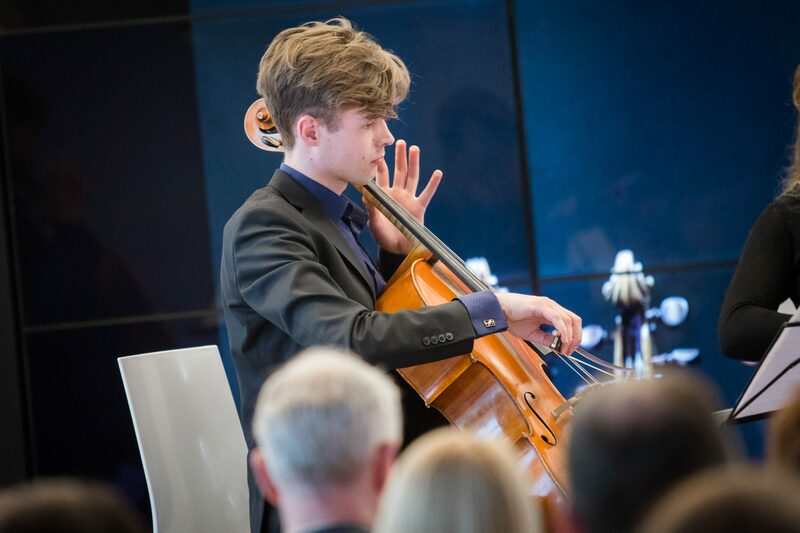 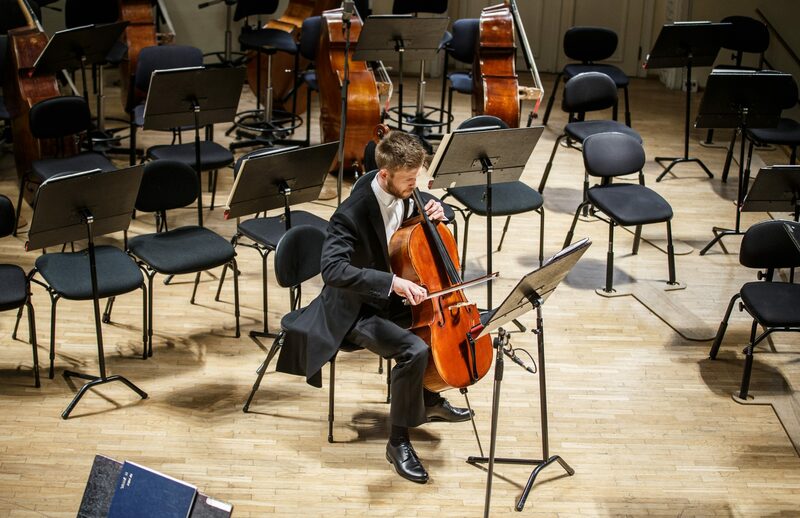 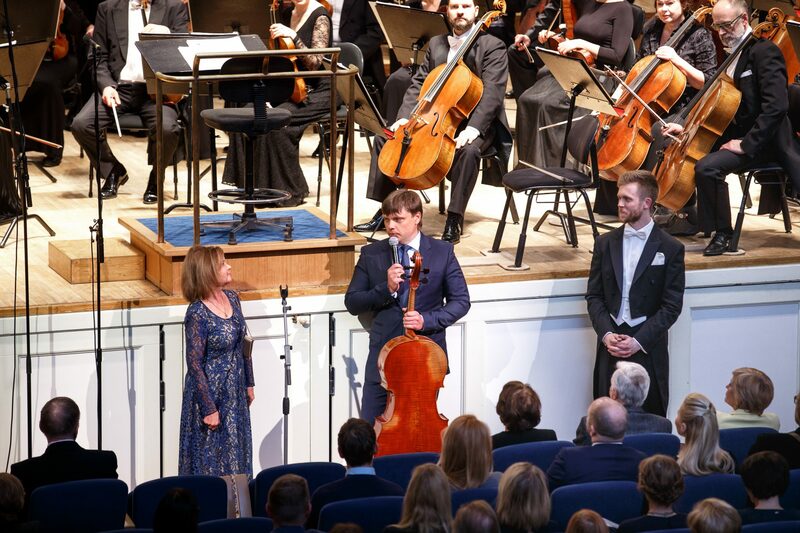 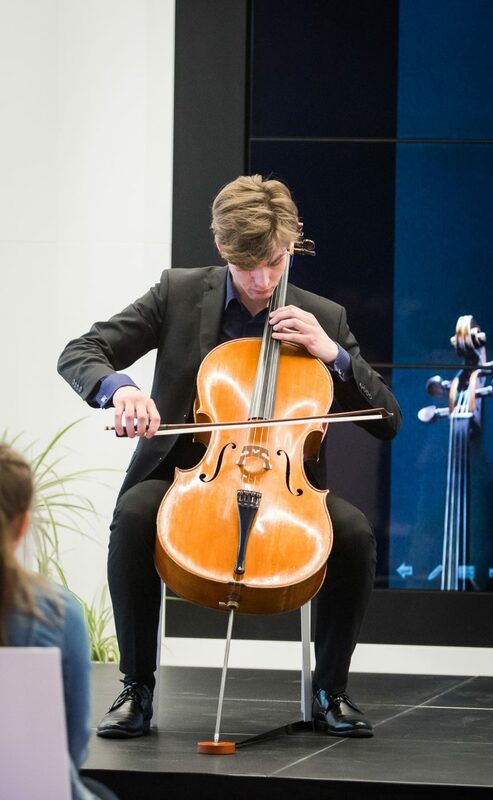 On March 9th 2018 the valuable, historical cello added to the Instrument Foundation’s collection was festively presented to the principal cellist Theodor Sink as a fixed-term loan prior to the Estonian National Symphony Orchestra (ENSO) concert. 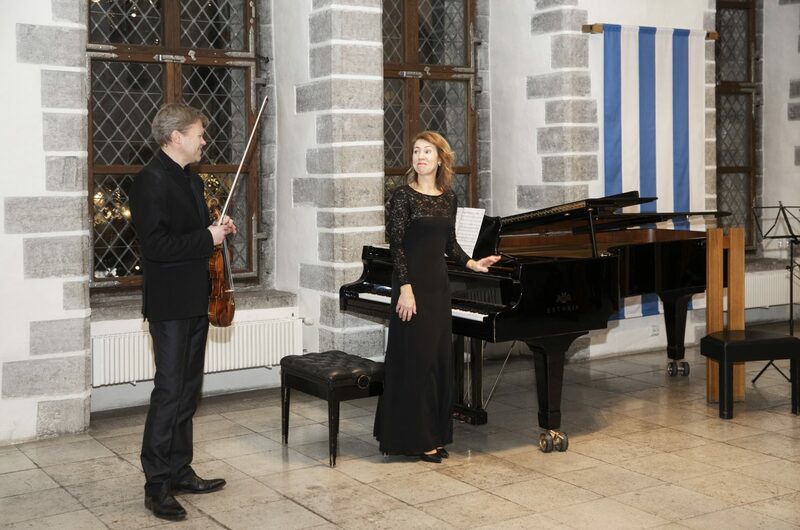 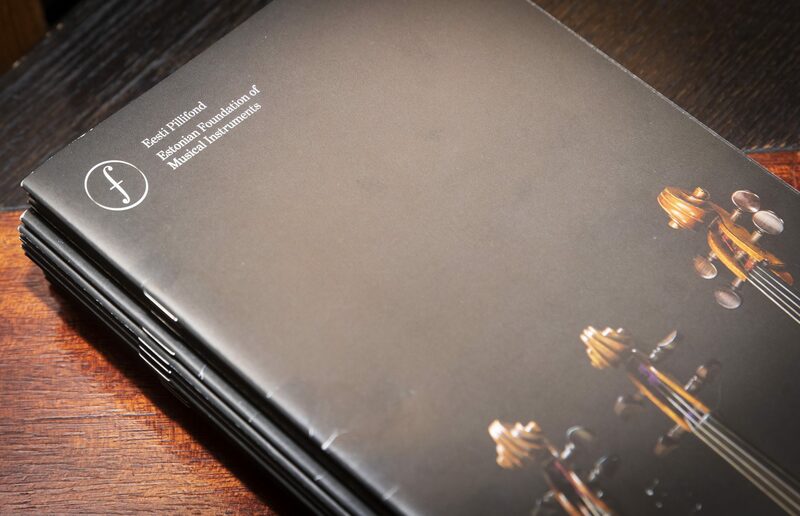 On the same evening the precious instrument’s overtone rich sound could already be heard in the Estonia Concert Hall. 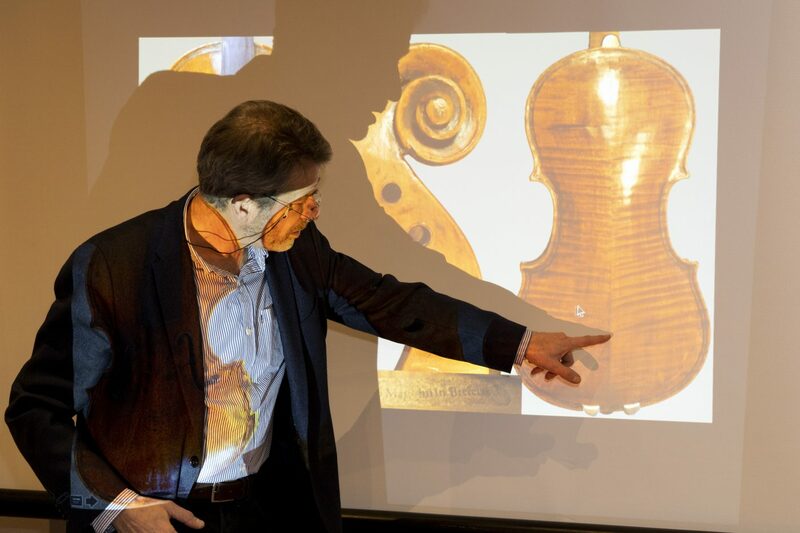 The 17th century precious and legendary violin belonging to the Sapožnin family was added to the Instrument Foundation’s collection. 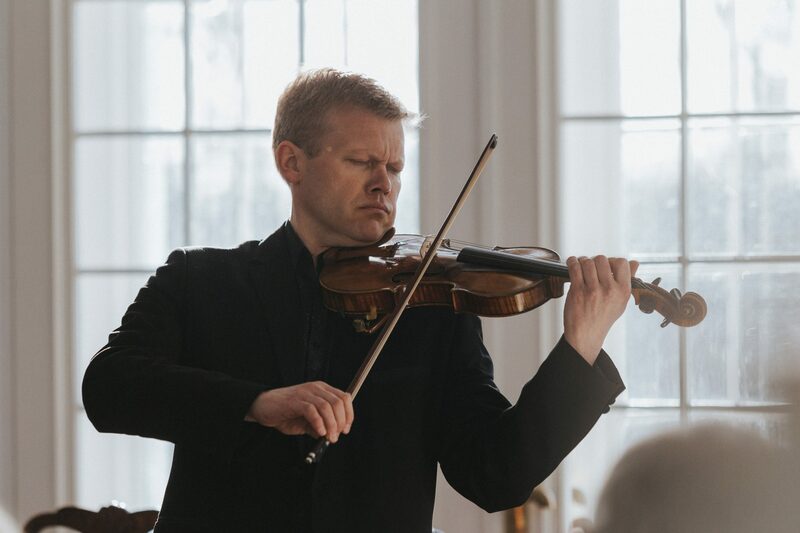 The instrument was used by the Estonian violinist Vladimir „Boba“ Sapožnin throughout his long career. 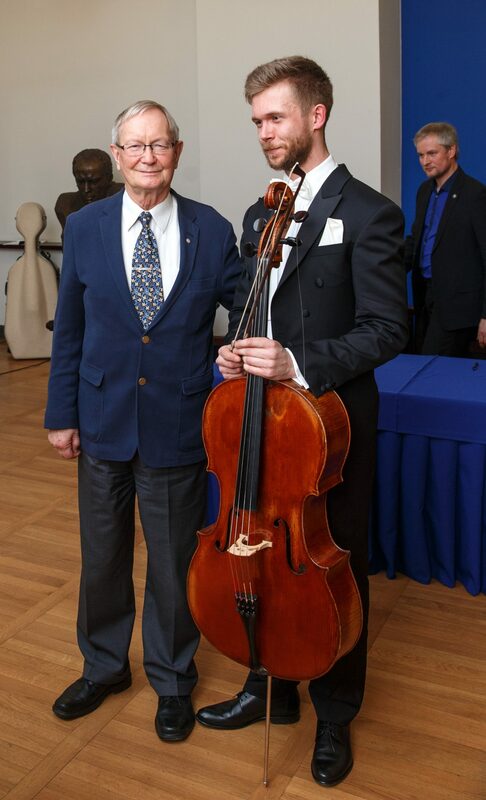 The instrument is one of the most expensive instruments in the Instrument Foundation’s collection. 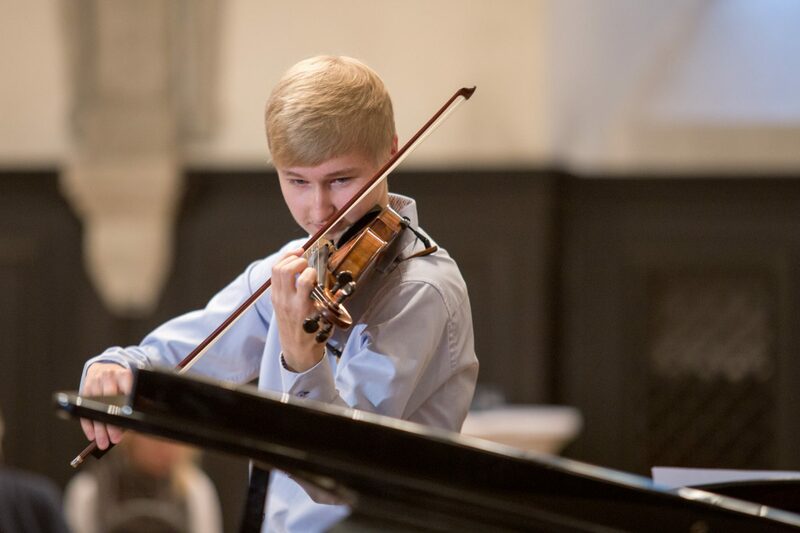 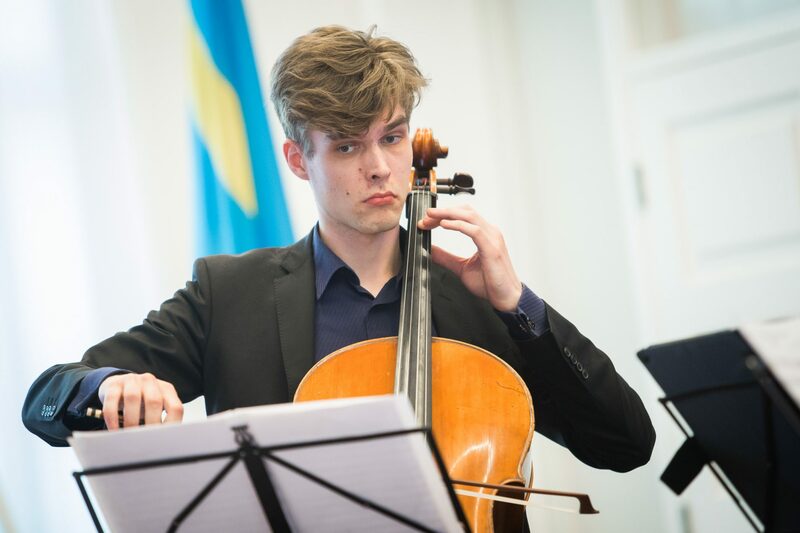 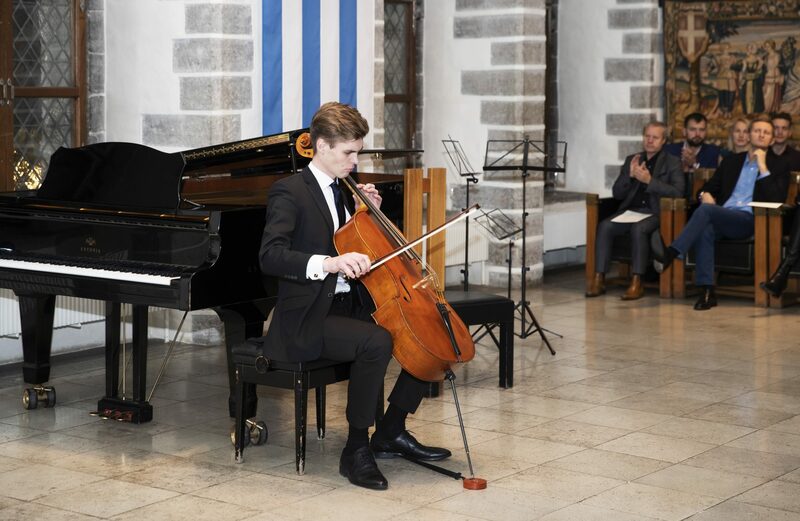 On November 14th 2017 at a festive concert the instrument was loaned on a fixed-term to Hans Christian Aavik who is studying at the Frankfurt University of Music and Performing Arts. 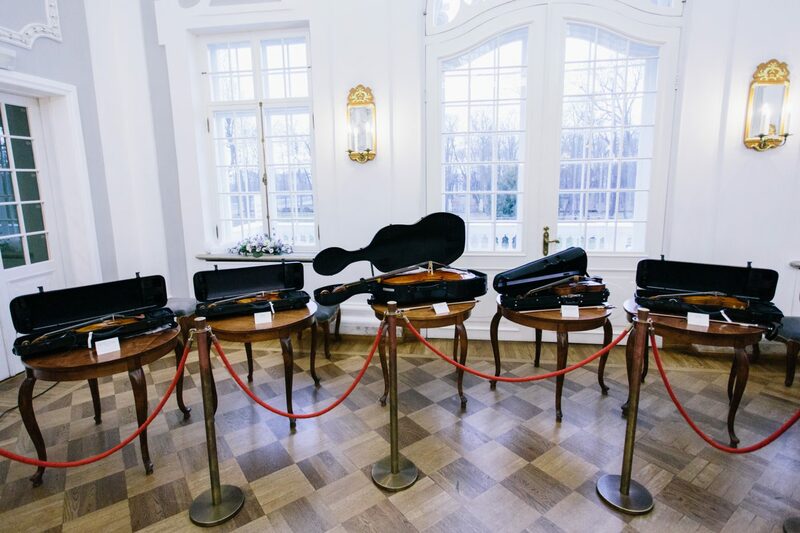 At the thank you concert at Kadriorg Castle all six Instrument Foundation centuries old valuable instruments which had been loaned to date to users could be heard demonstrating their sound nuances. 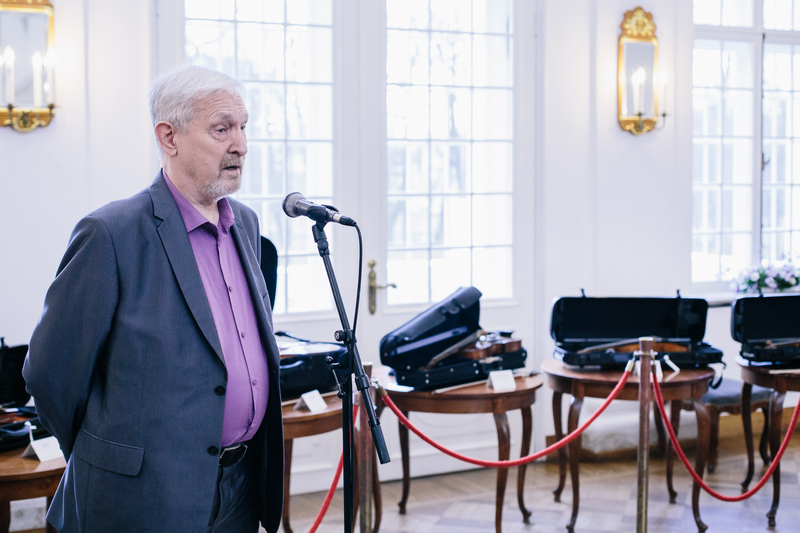 On December 5th 2016 the Instrument Foundation in cooperation with investors presented the first six historical valuable instruments at the Kadriorg Castle. 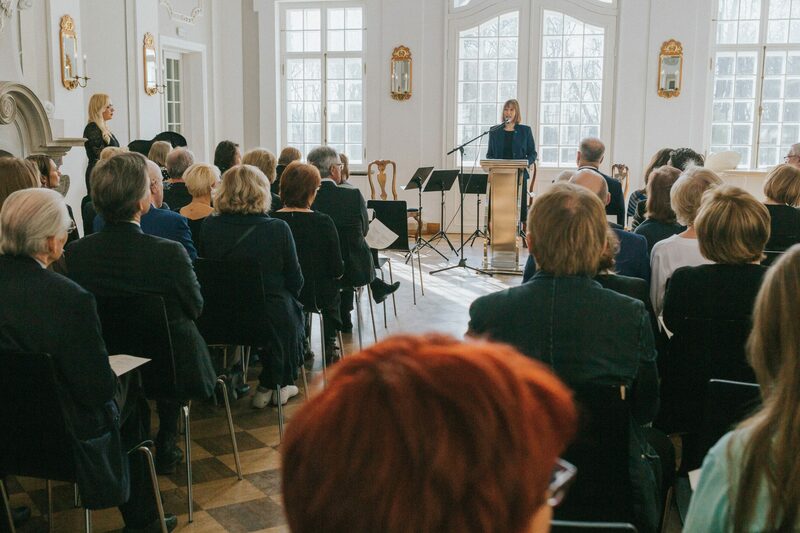 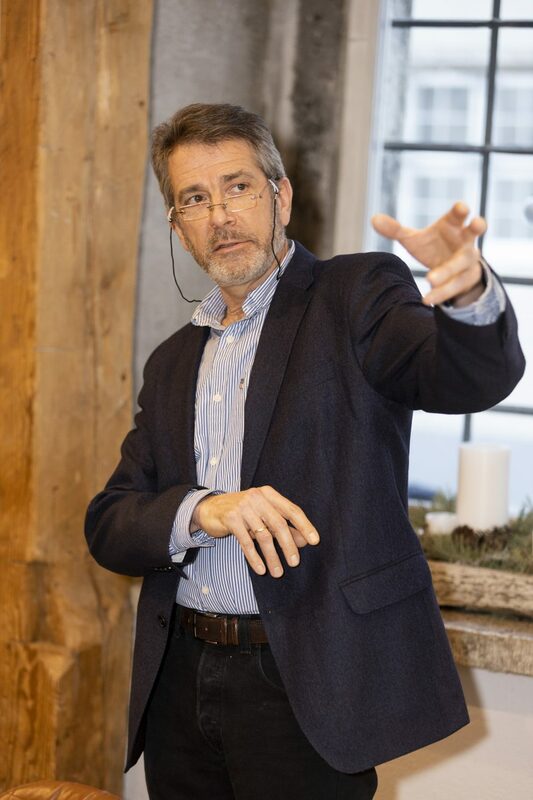 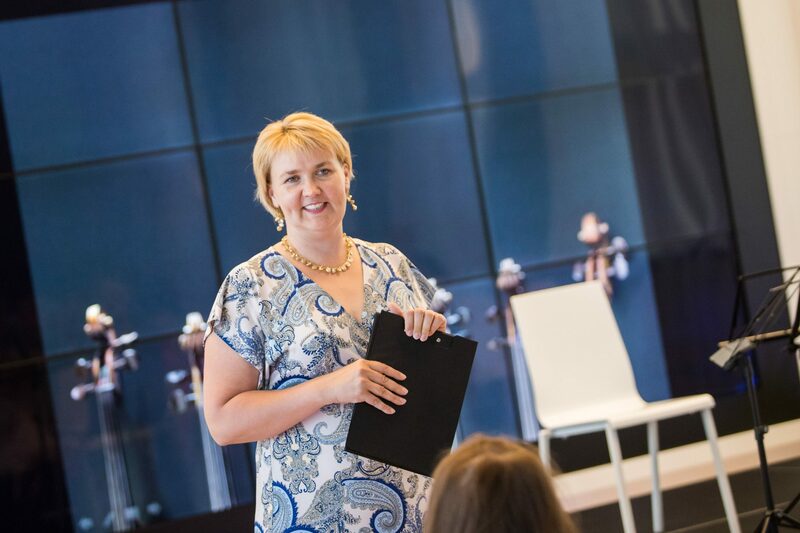 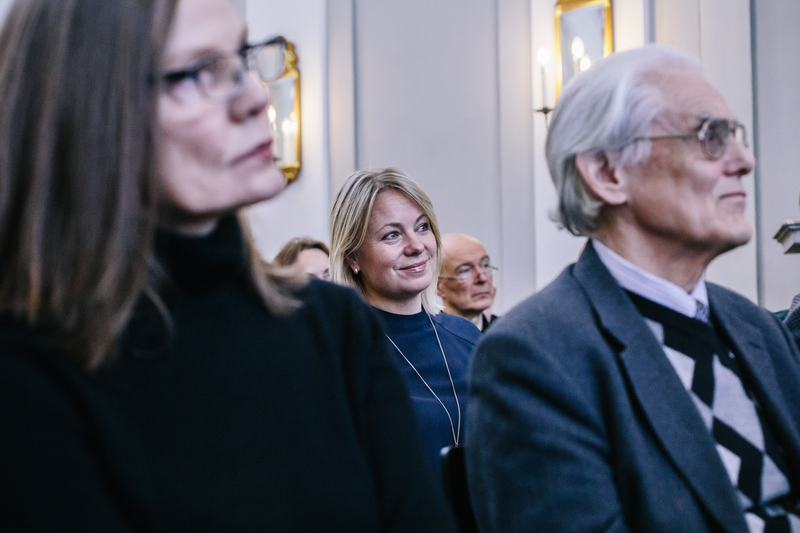 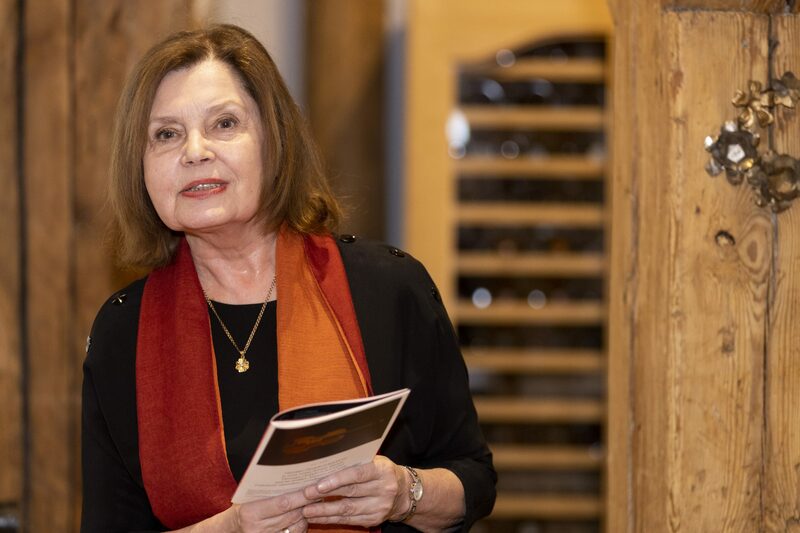 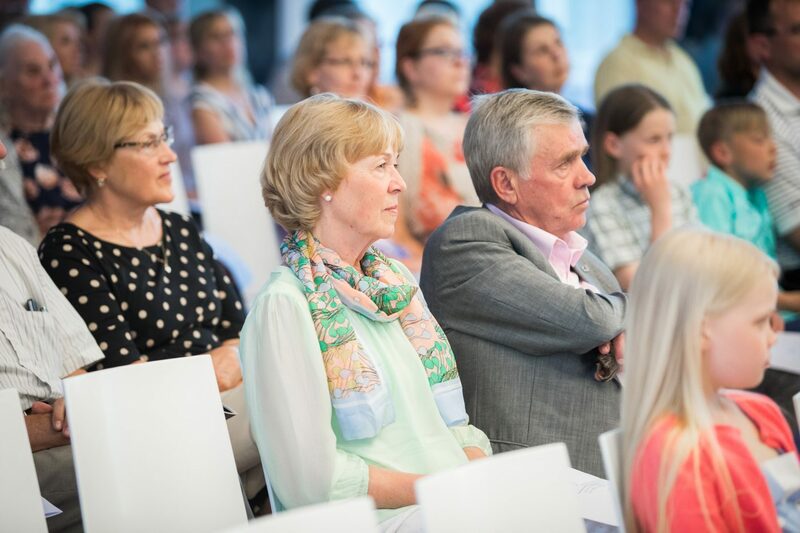 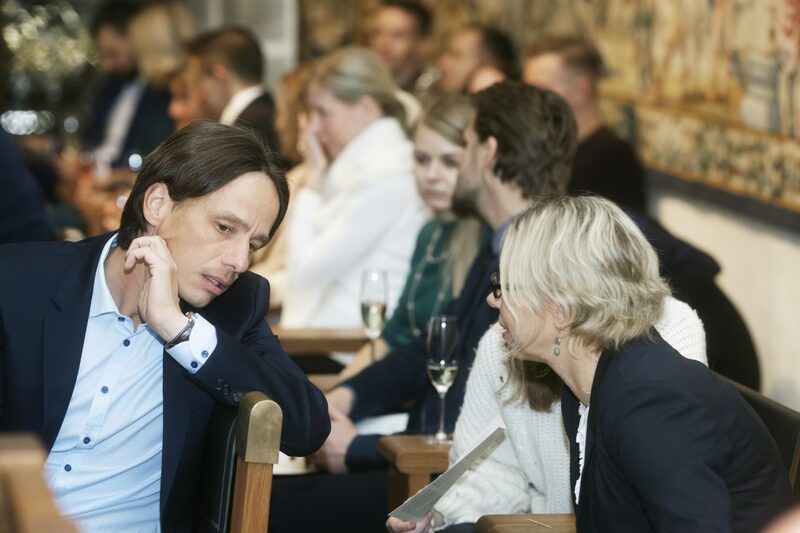 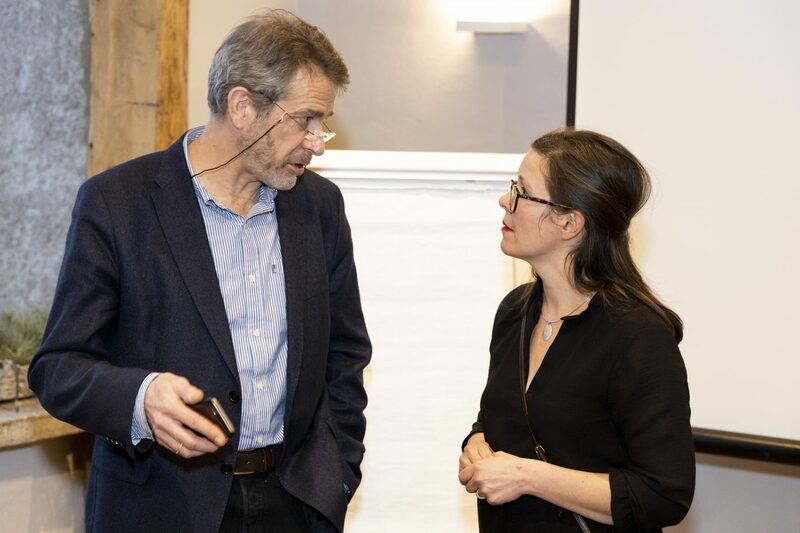 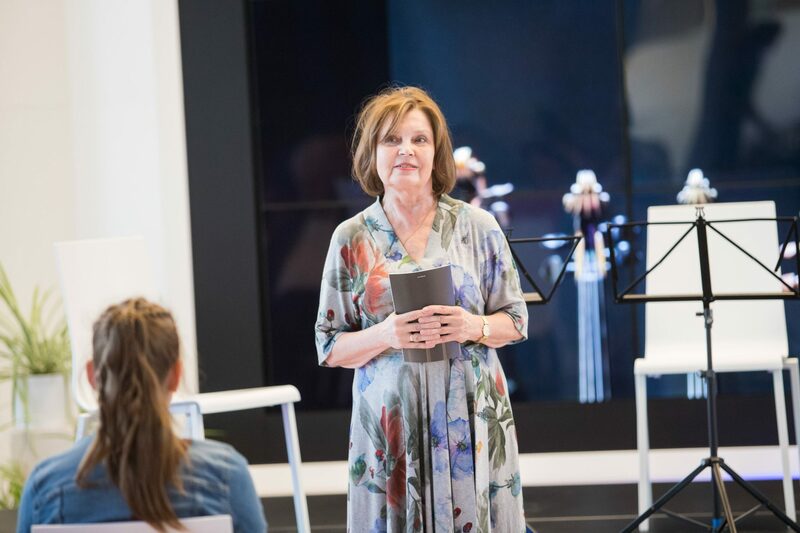 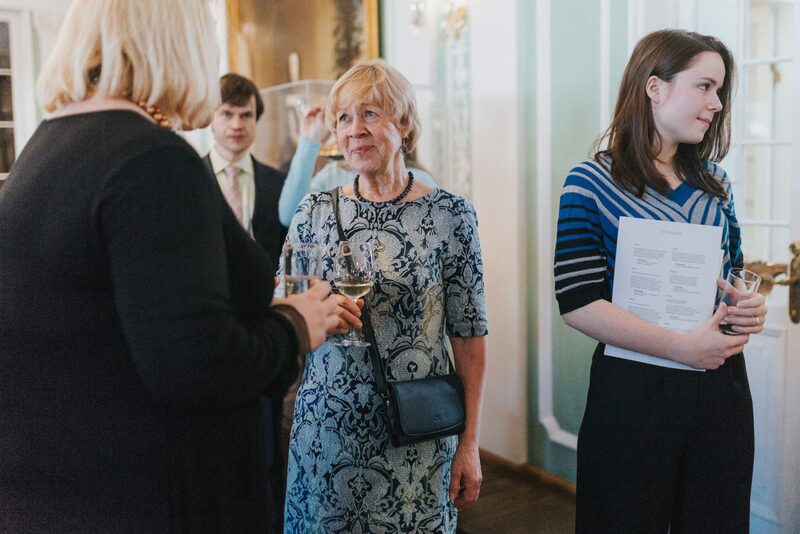 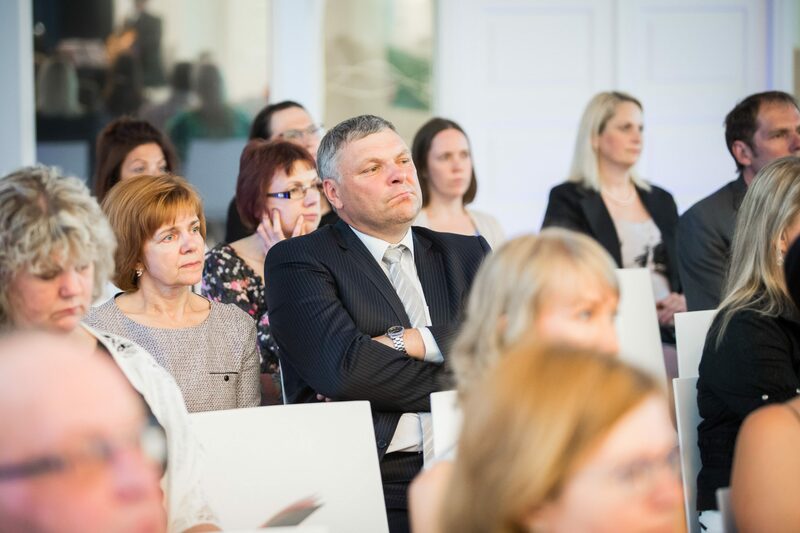 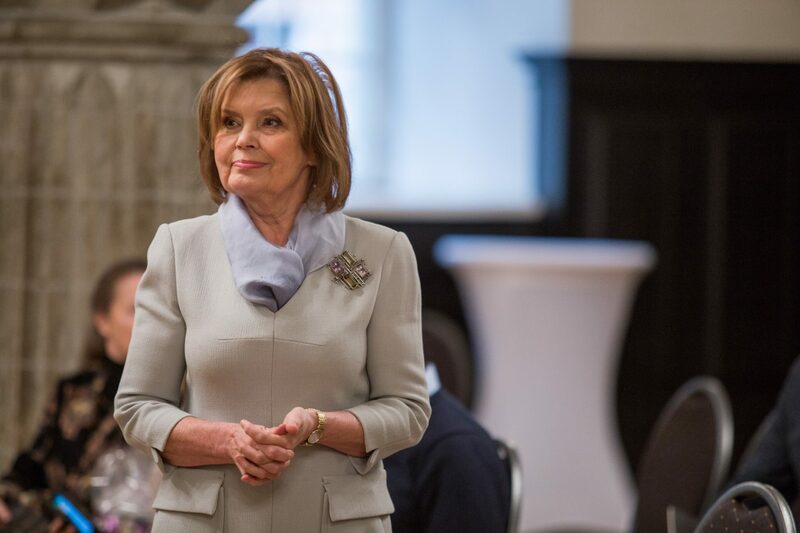 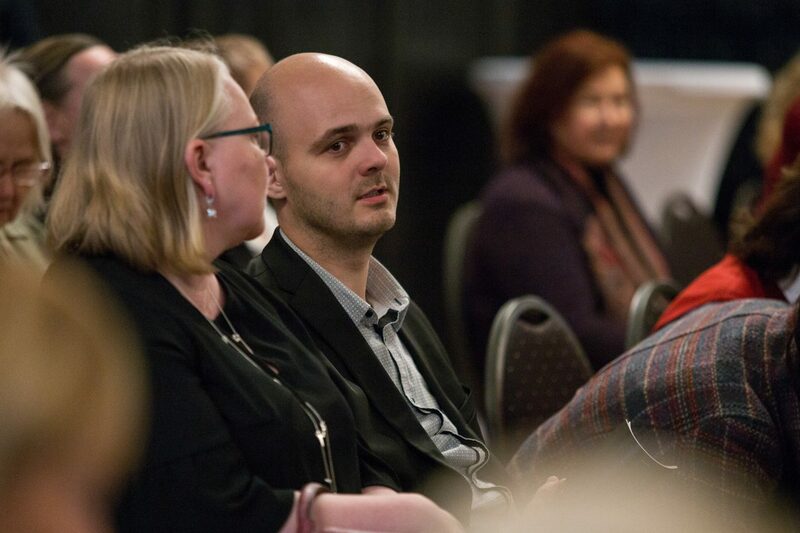 The board member Marje Lohuaru explained at the event the foundation’s functioning and how the instruments reached the foundation. 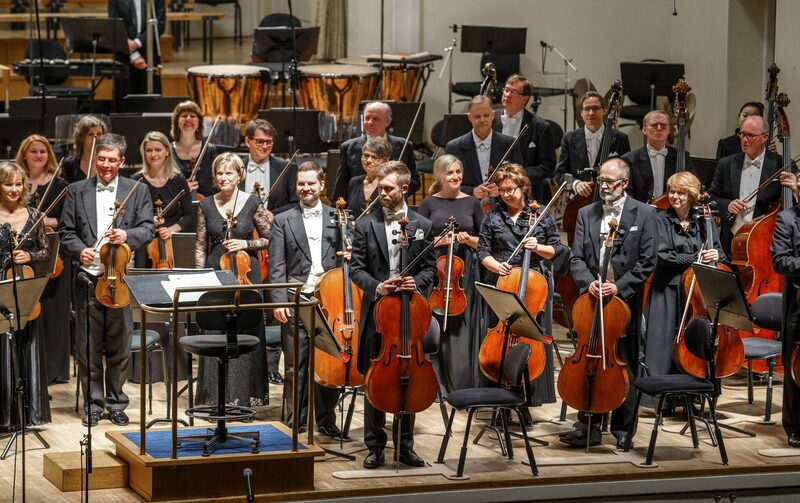 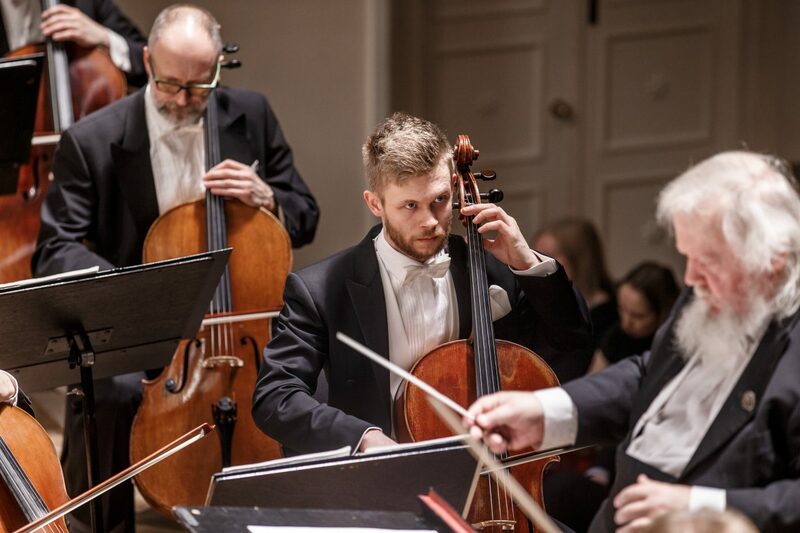 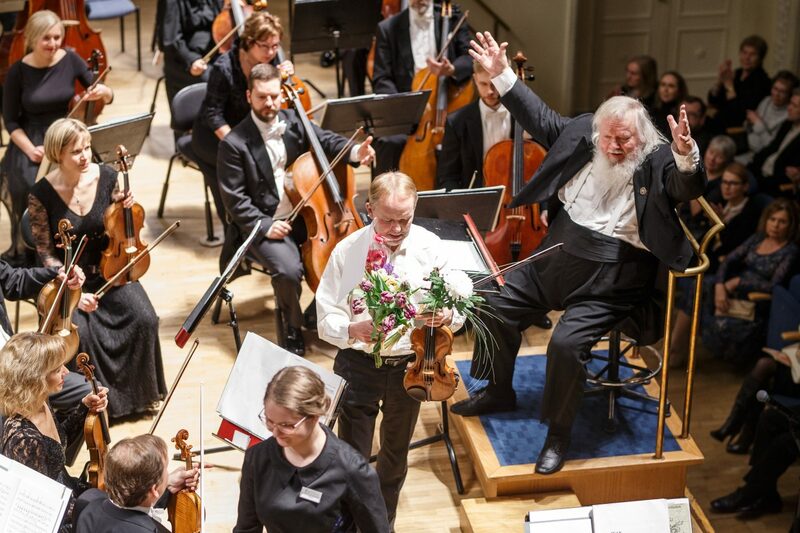 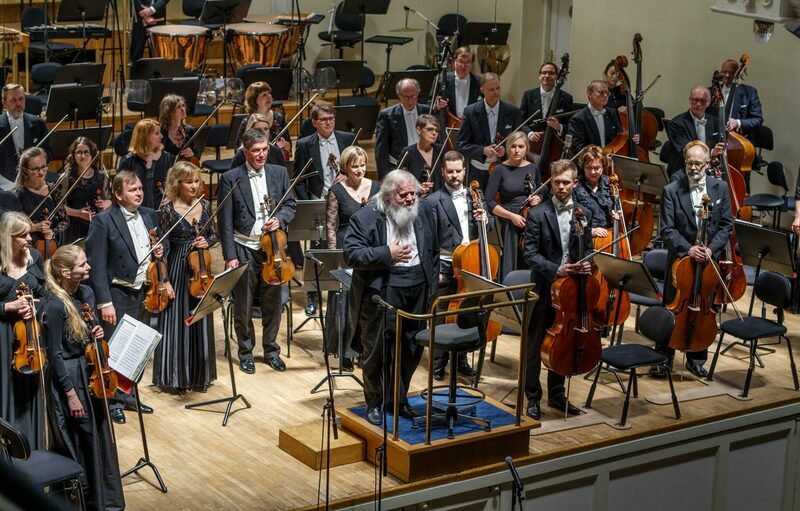 On March 12th an Estonian National Symphony Orchestra concert conducted by maestro Paavo Järvi conductor of, Paris, Frankfurt and Tokyo’s NHK symphony orchestras as well as the German Chamber Philharmonic took place at the Estonia Concert Hall. 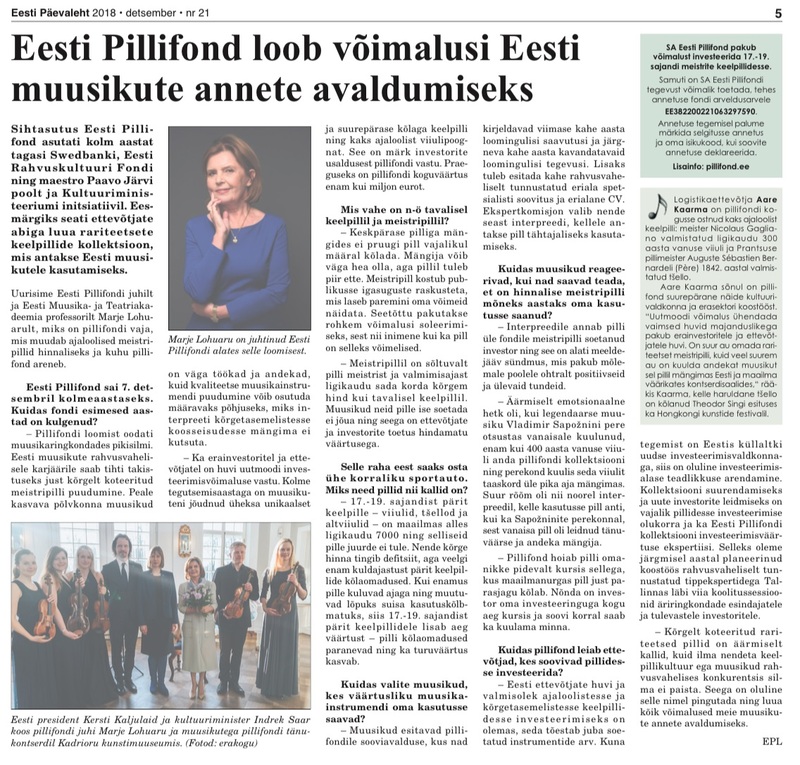 Väärt võimalus! 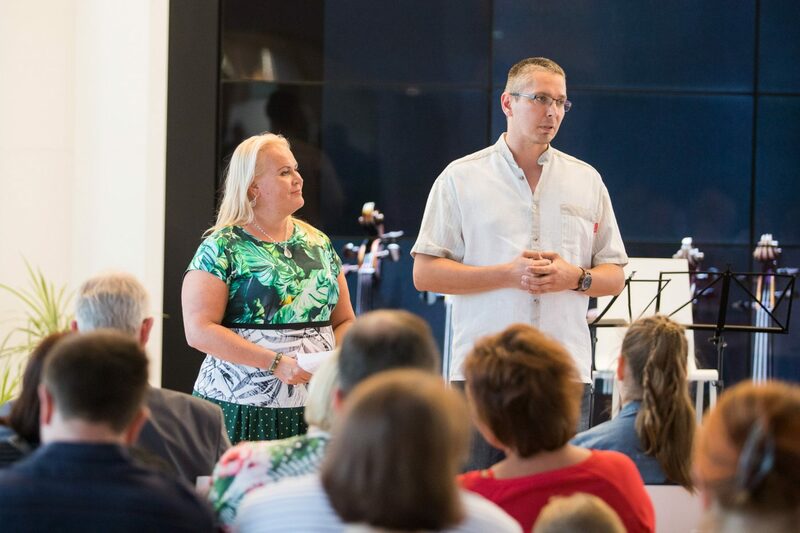 Eesti noortel ja andekatel muusikutel on võimalus rentida kauge ajalooga väärikaid pille.